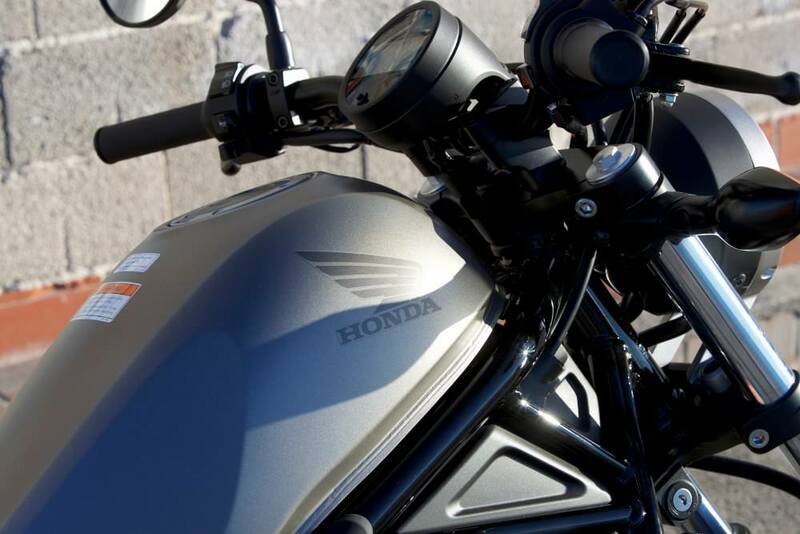 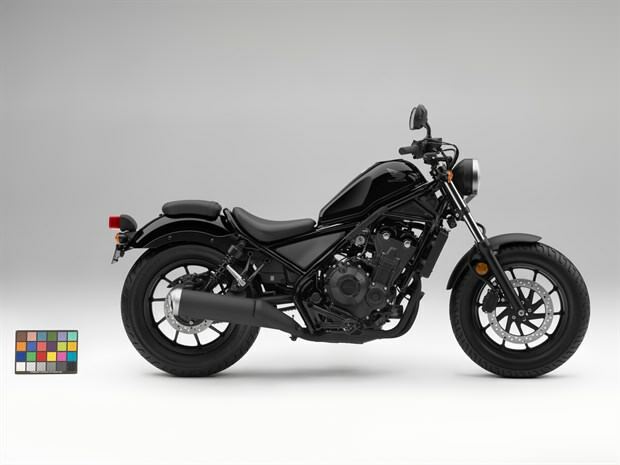 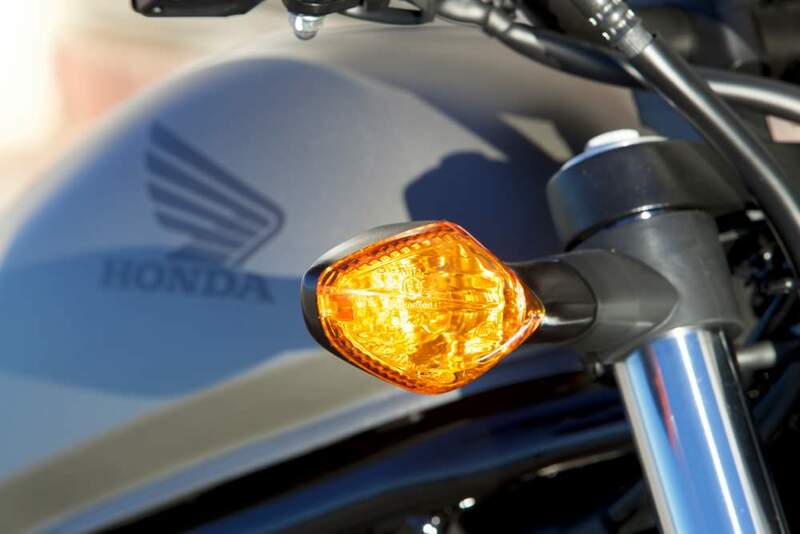 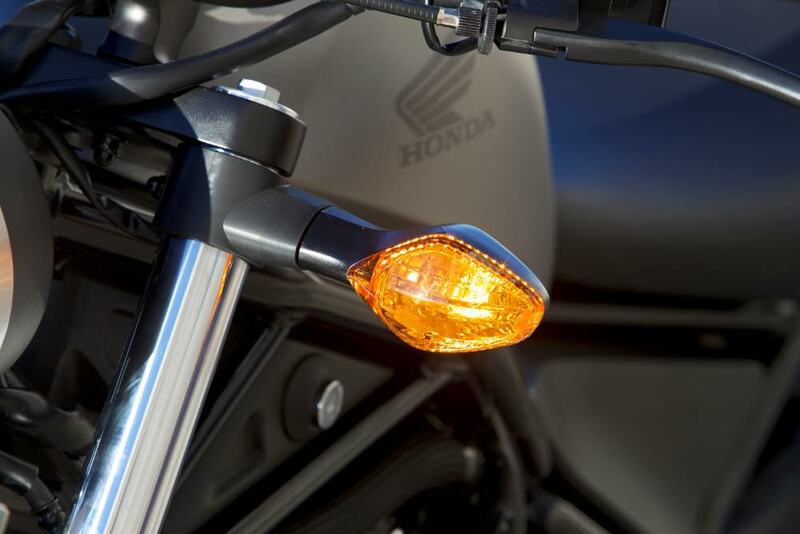 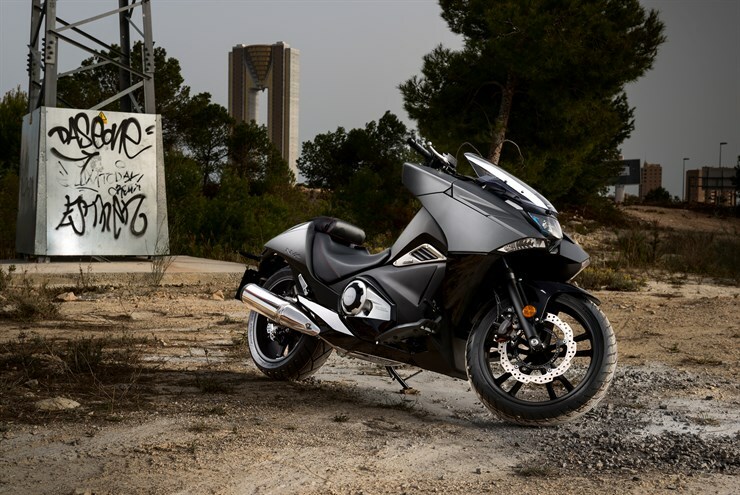 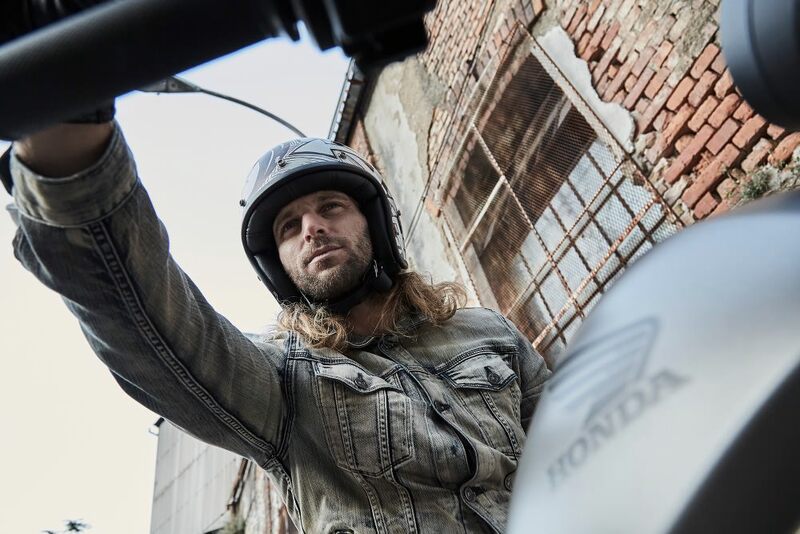 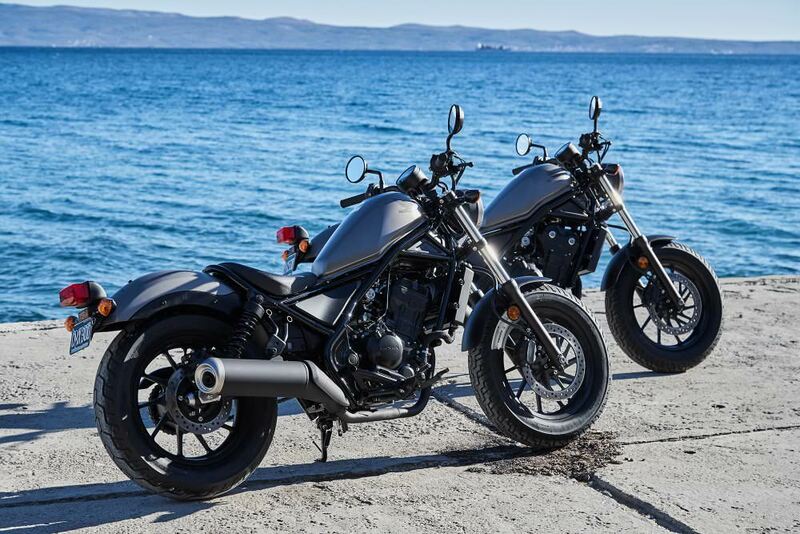 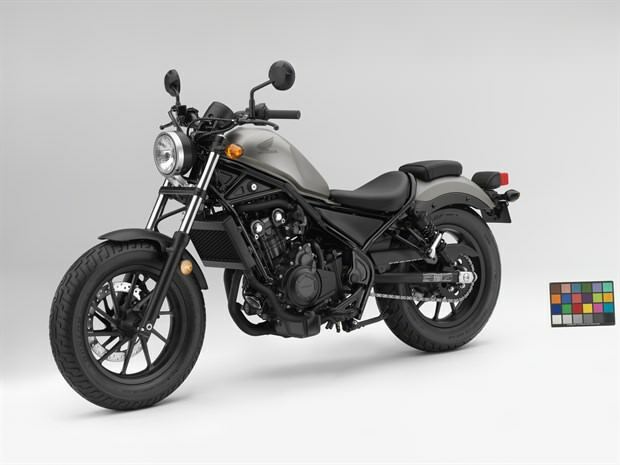 With the all-new 2017 Rebel from Honda you have (2) engine options: 1. 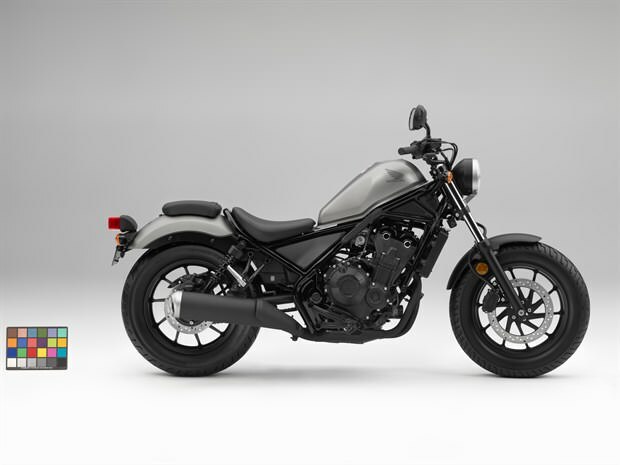 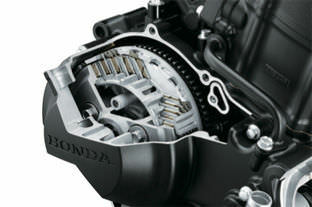 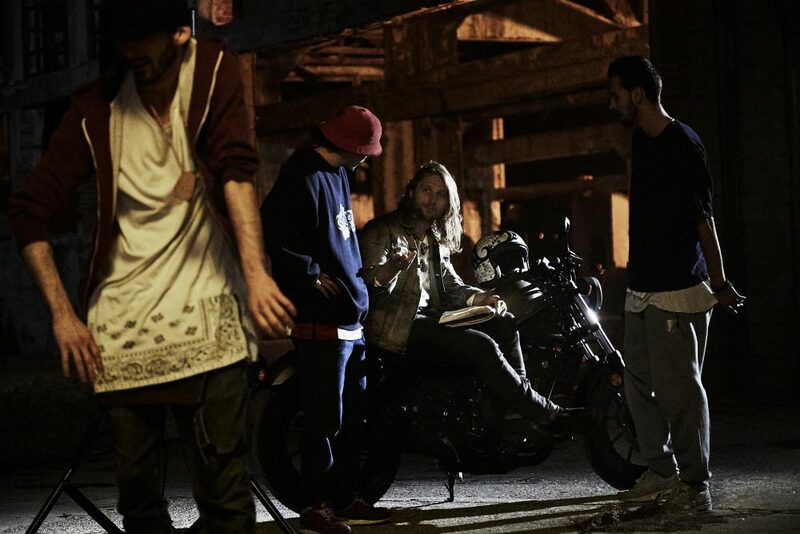 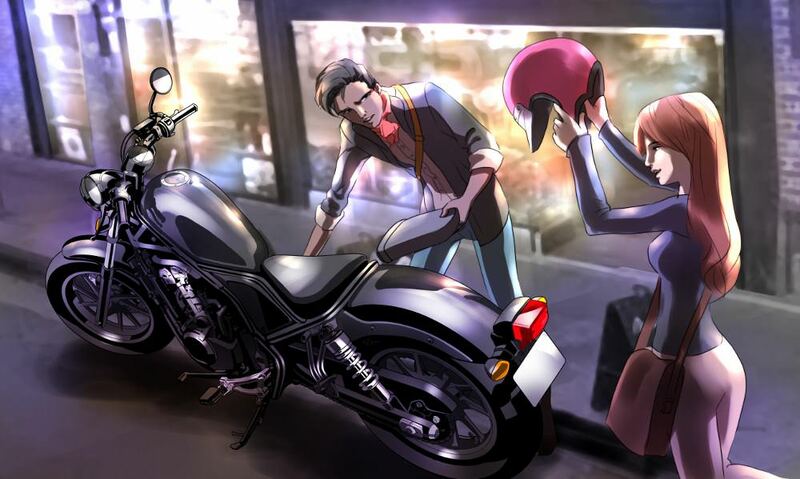 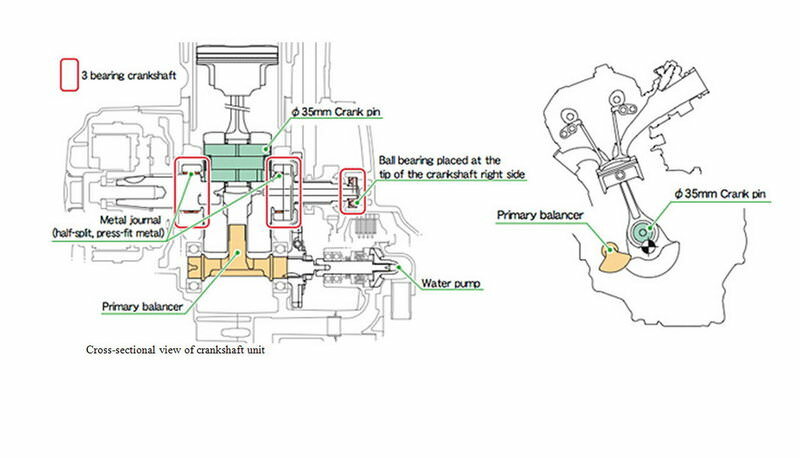 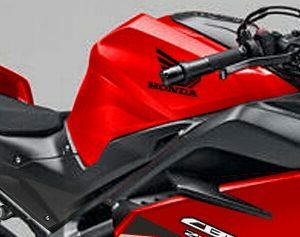 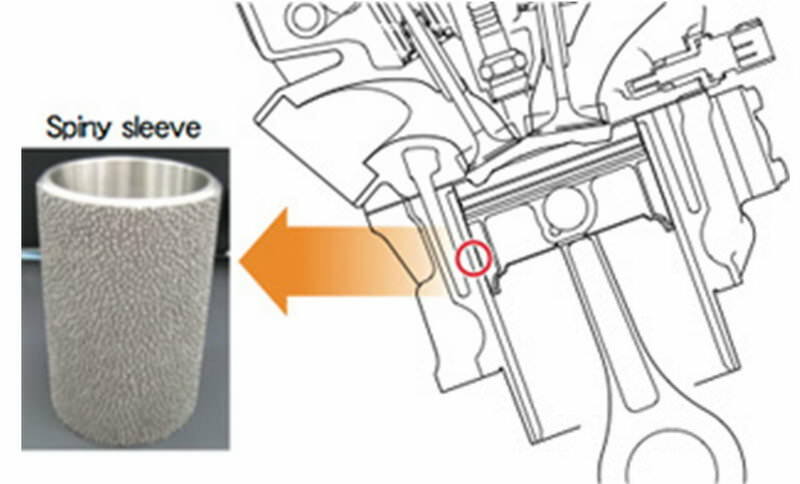 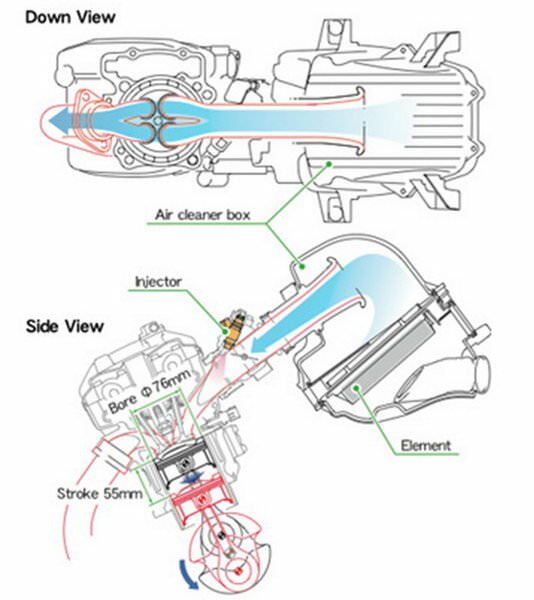 471cc 8-valve, liquid-cooled parallel twin-cylinder engine is drawn from Honda’s popular 500cc trio (CBR500R / CB500F / CB500X) or the 286cc single-cylinder engine stolen from Honda’s 300cc duo (CBR300R / CB300F). 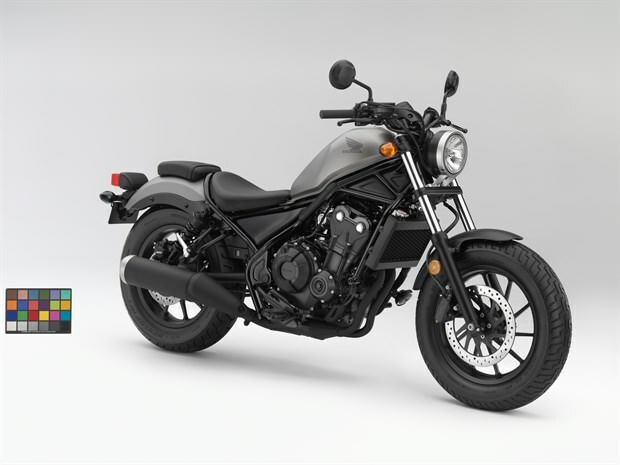 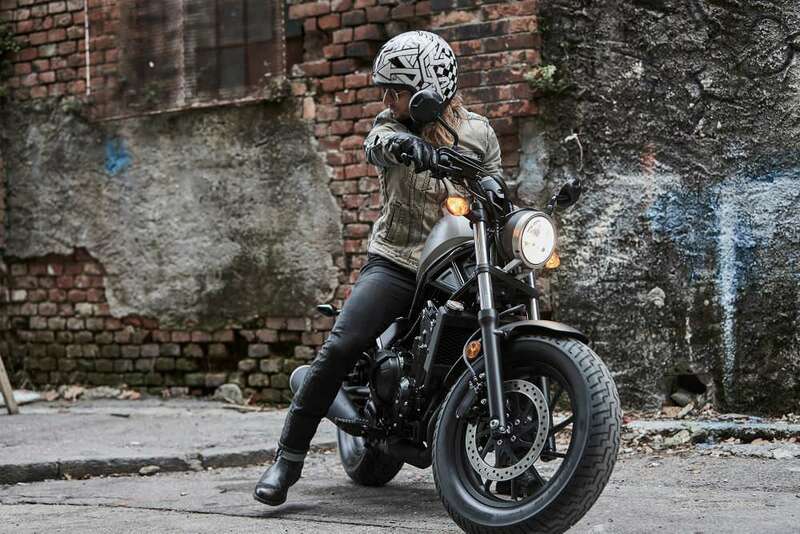 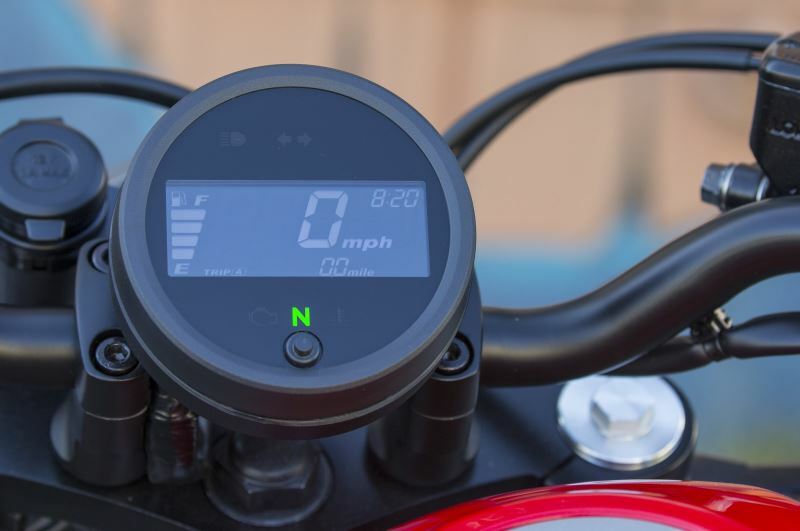 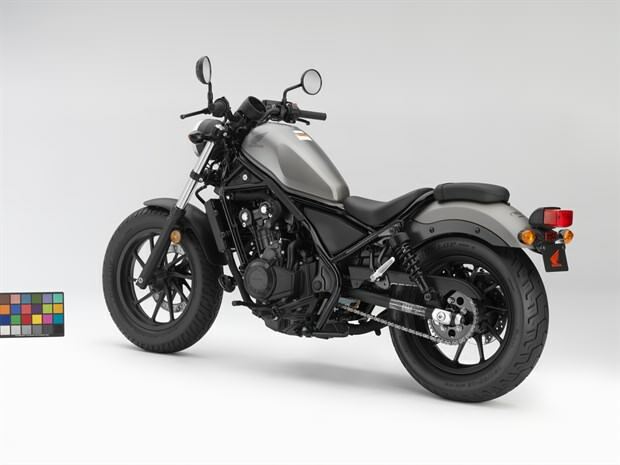 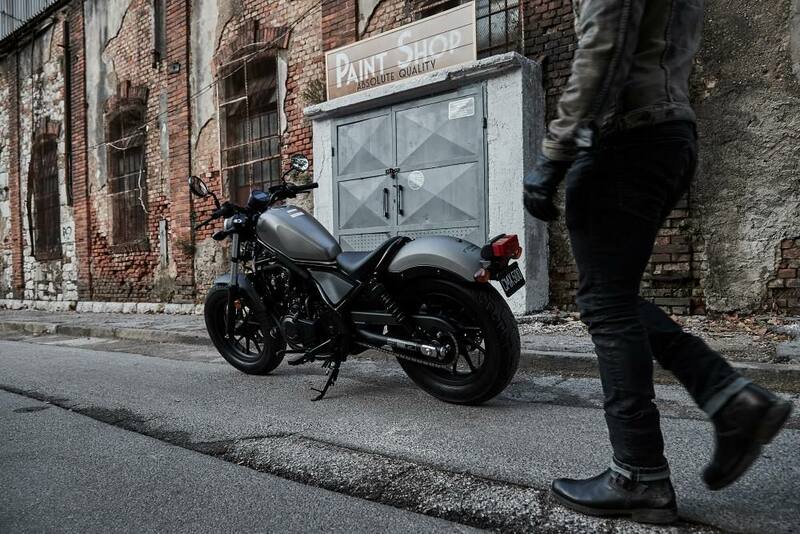 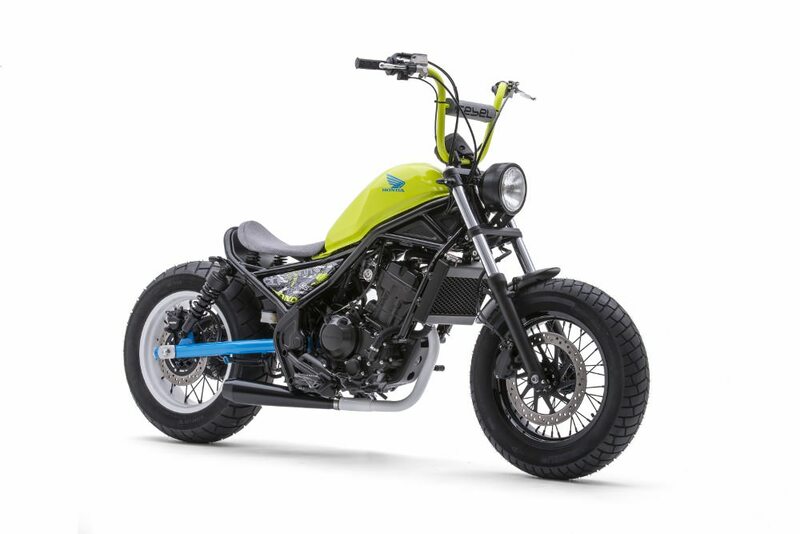 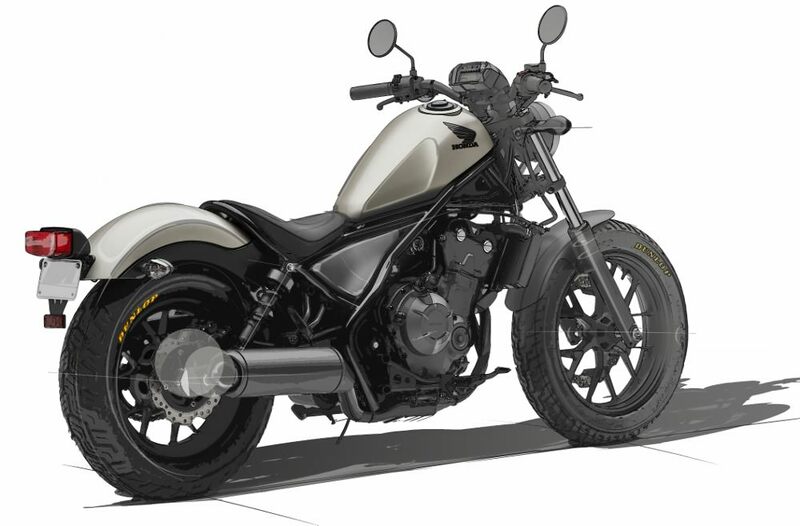 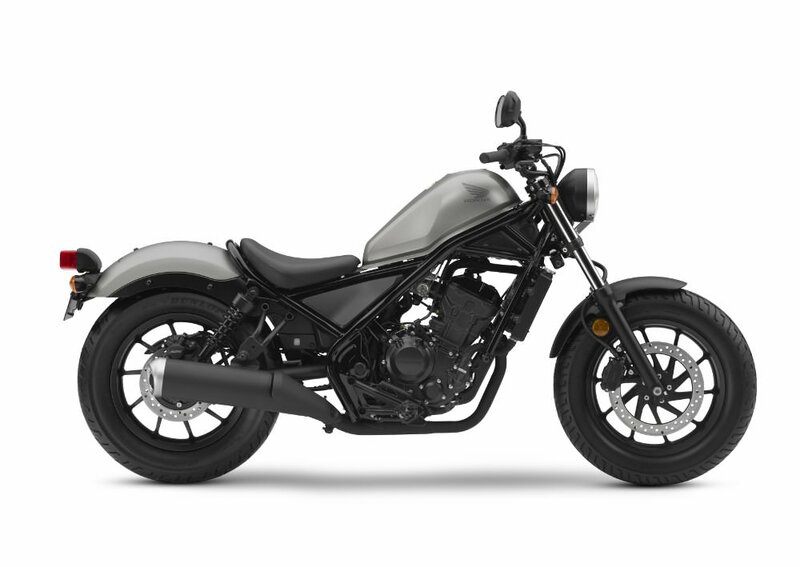 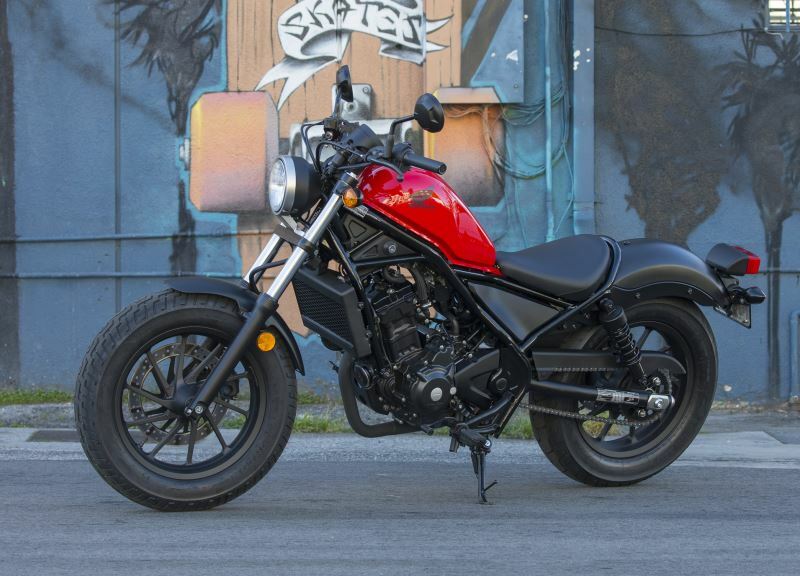 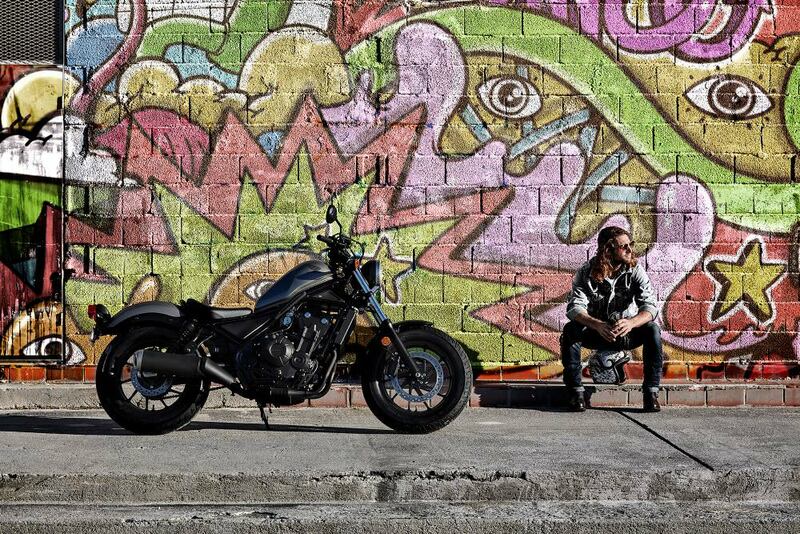 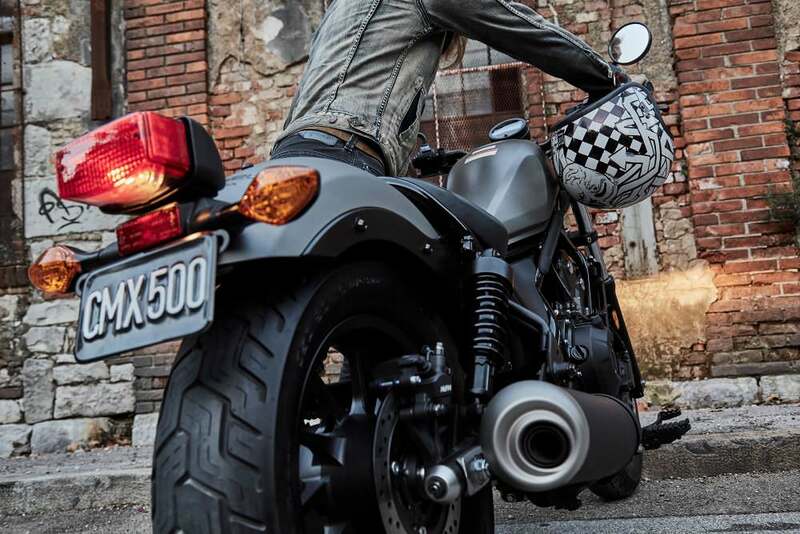 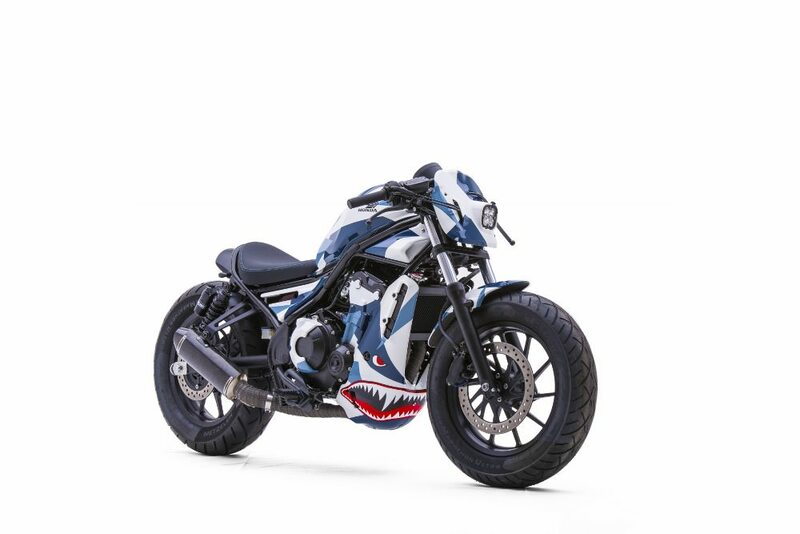 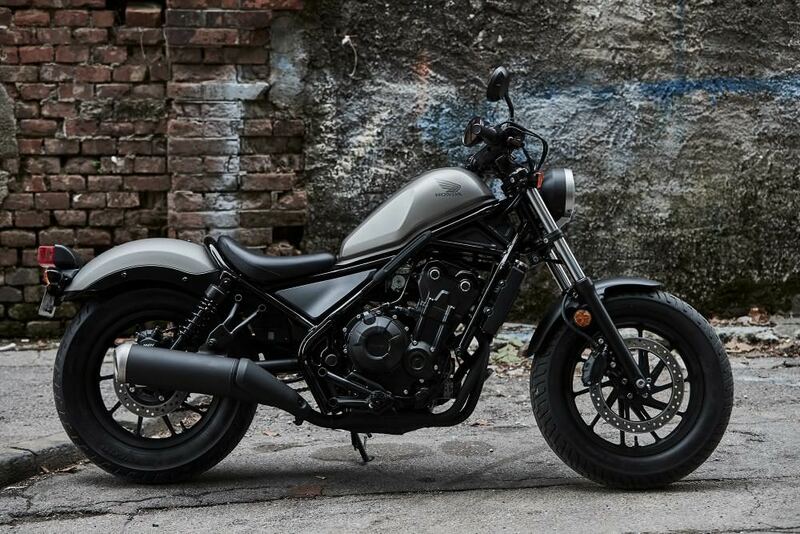 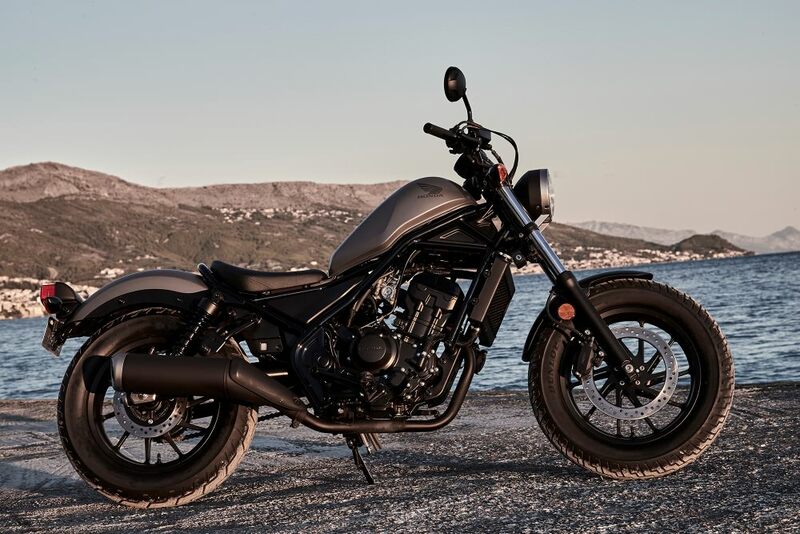 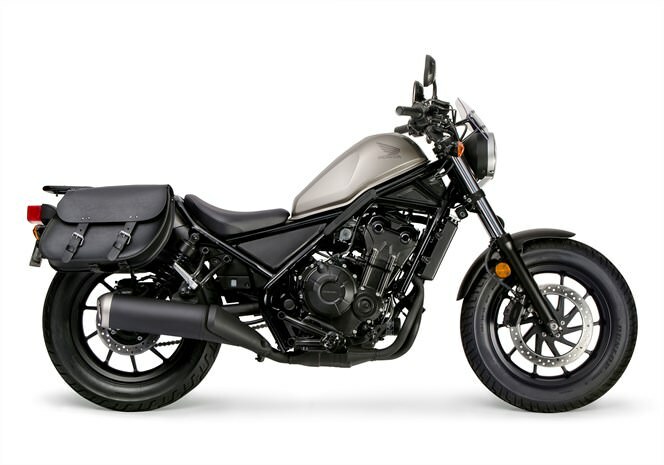 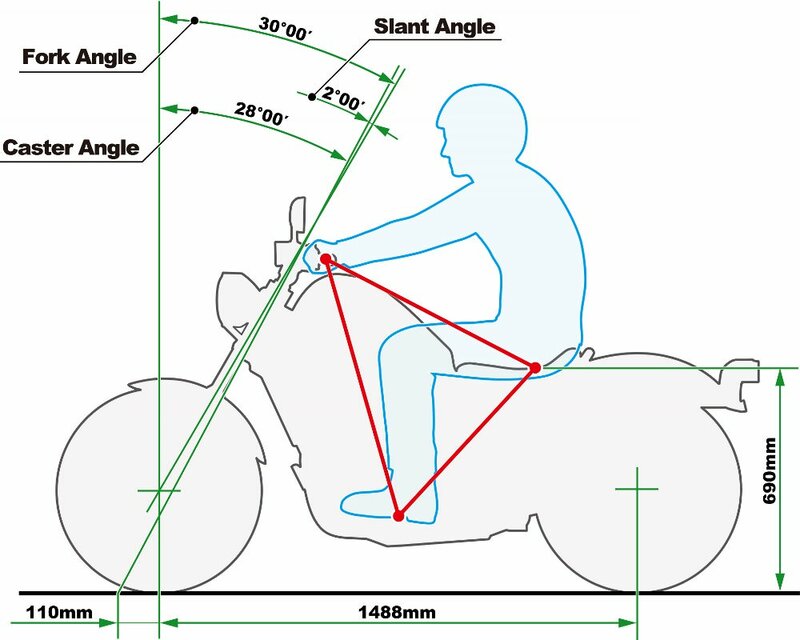 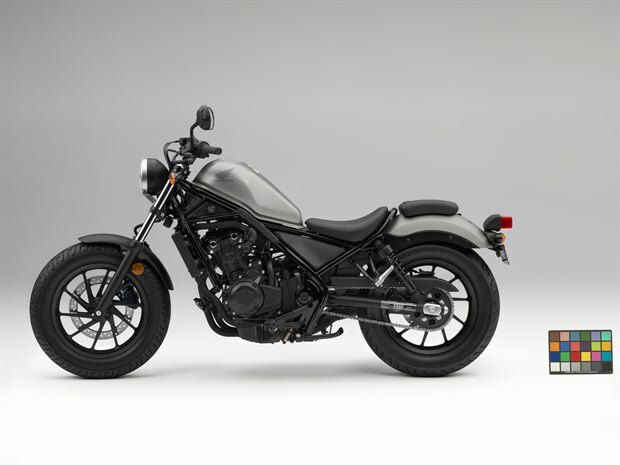 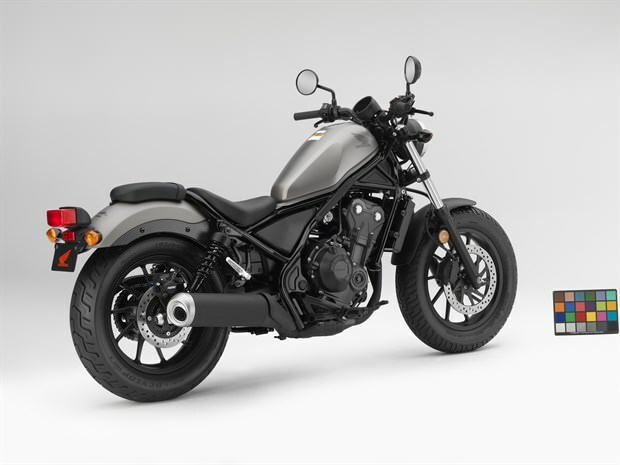 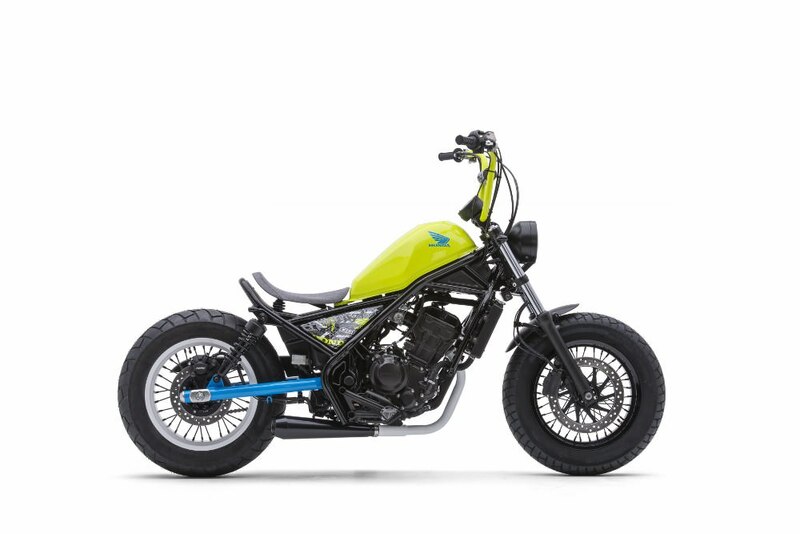 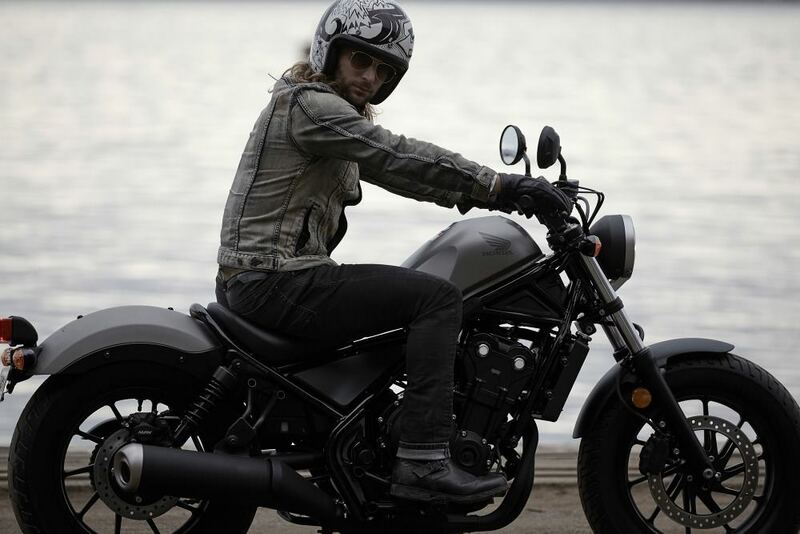 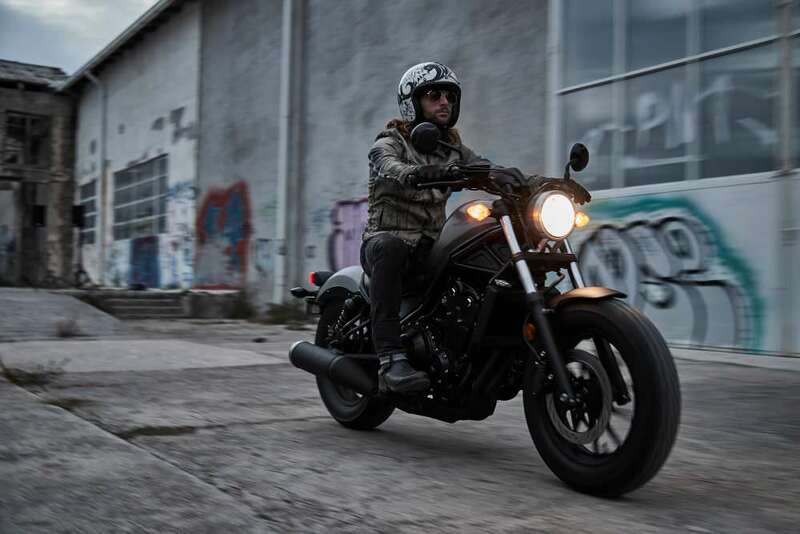 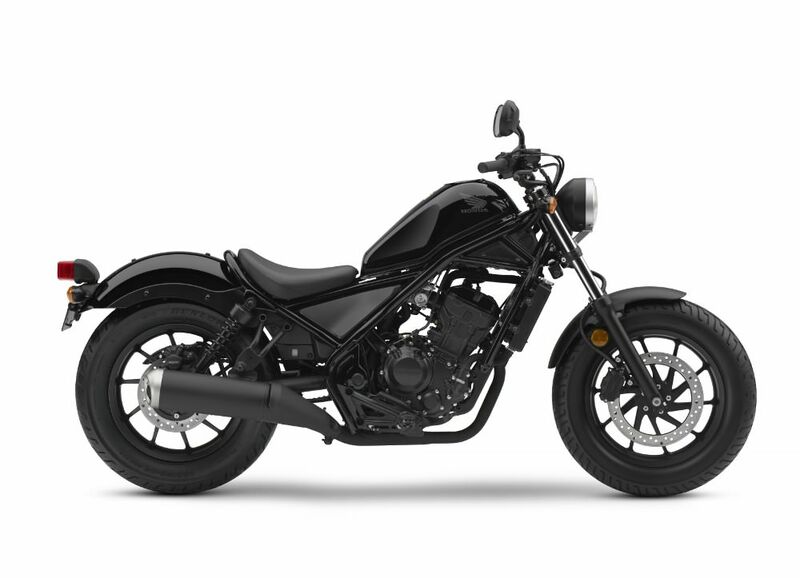 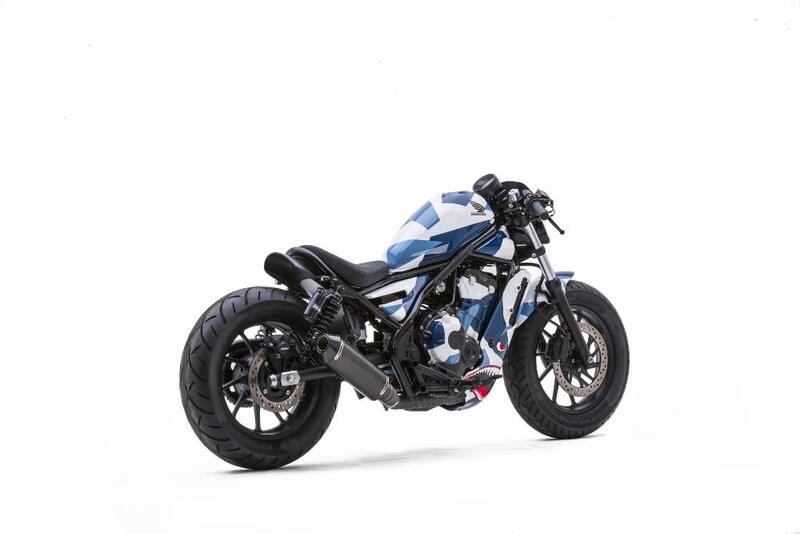 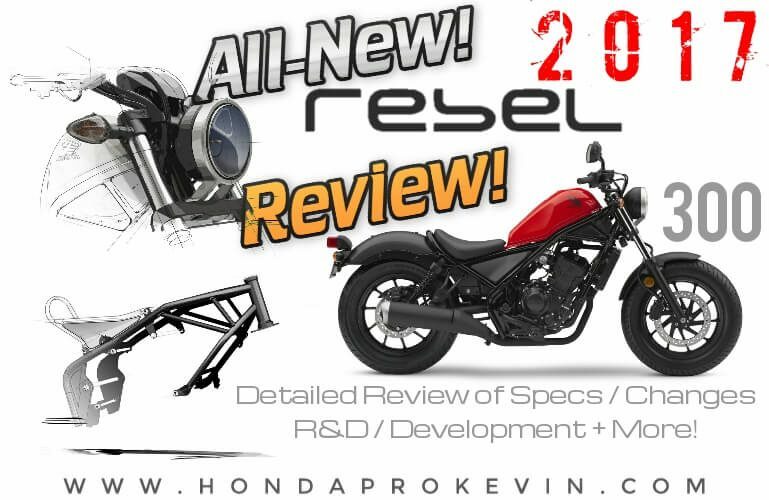 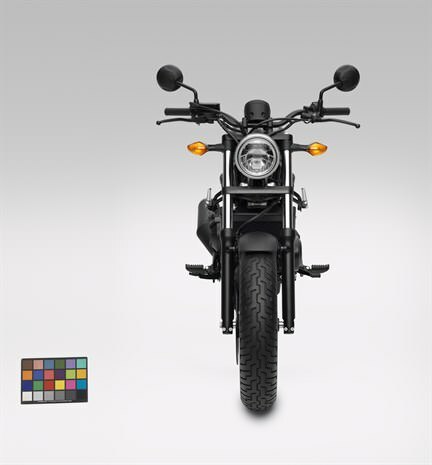 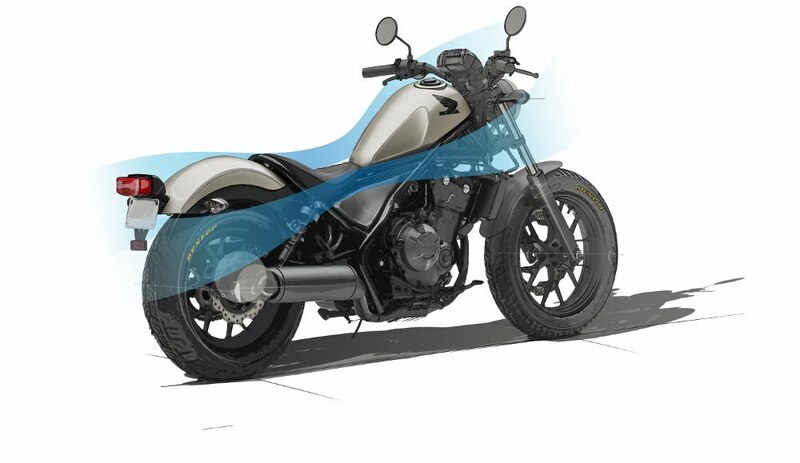 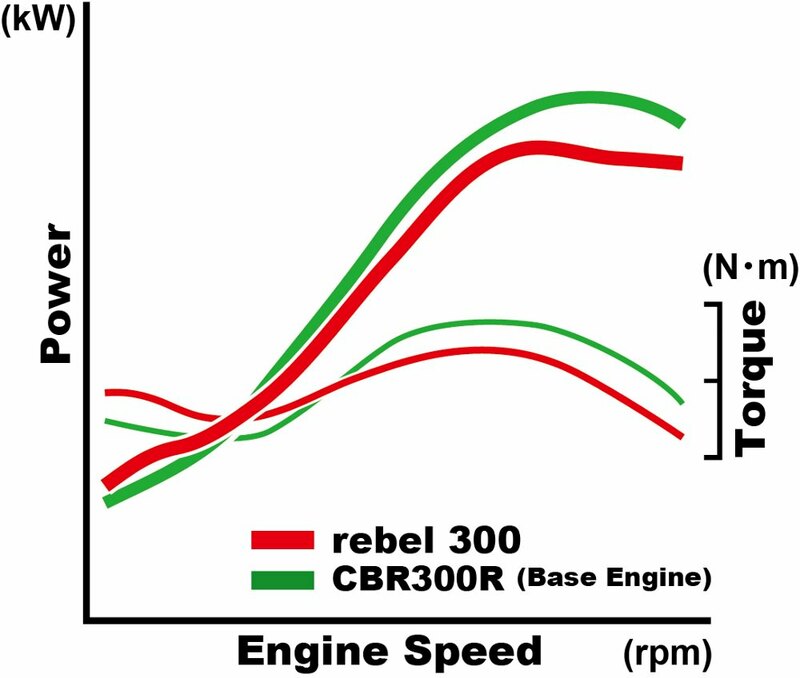 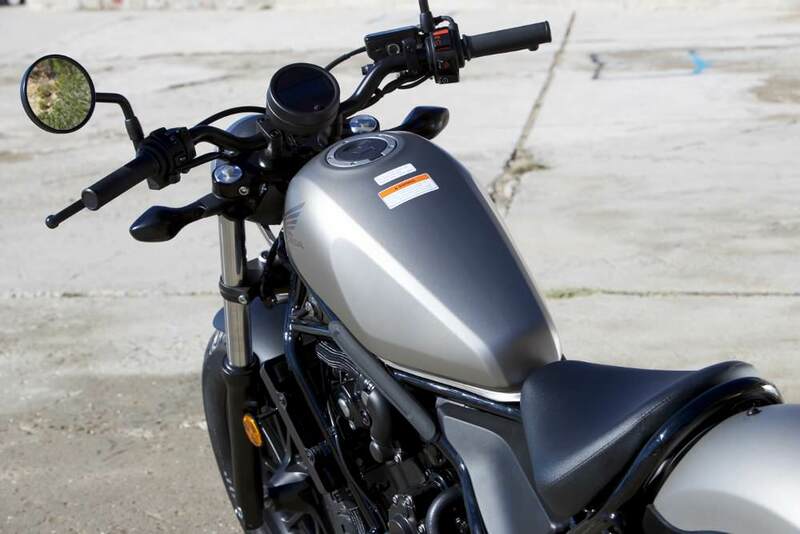 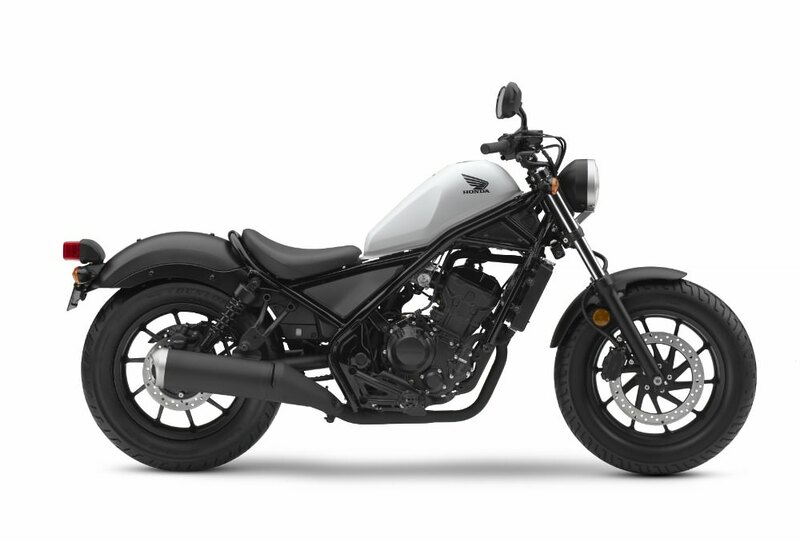 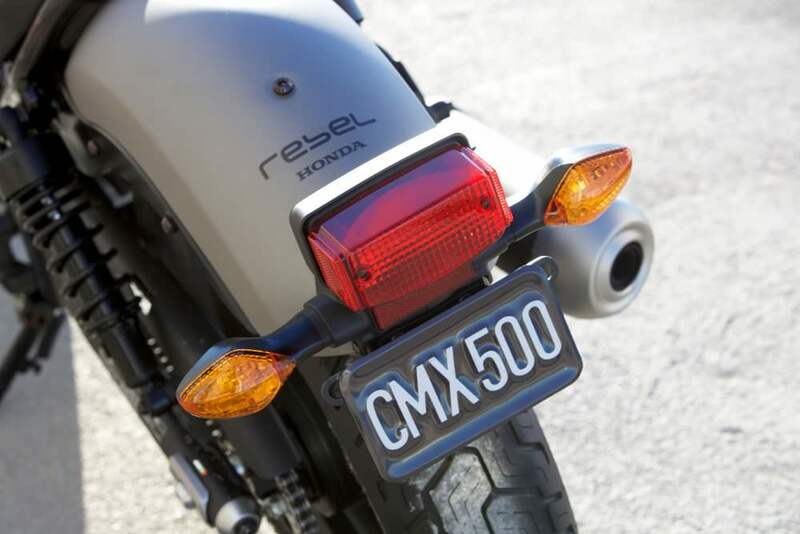 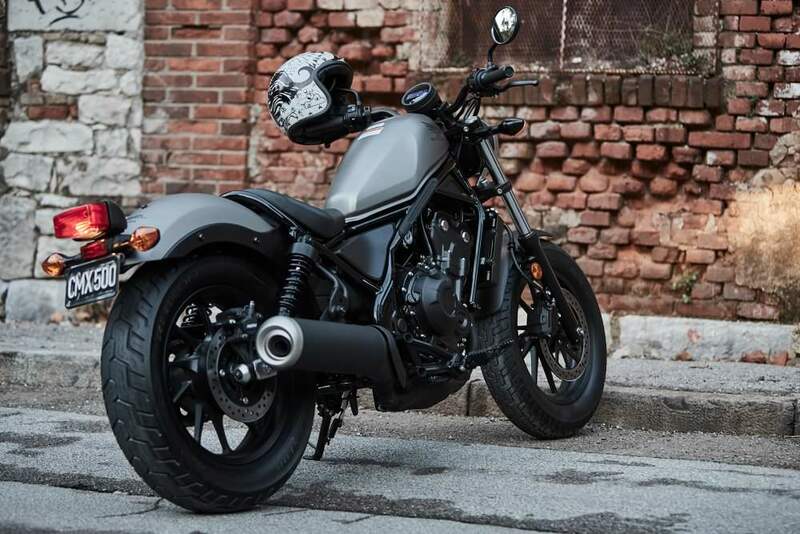 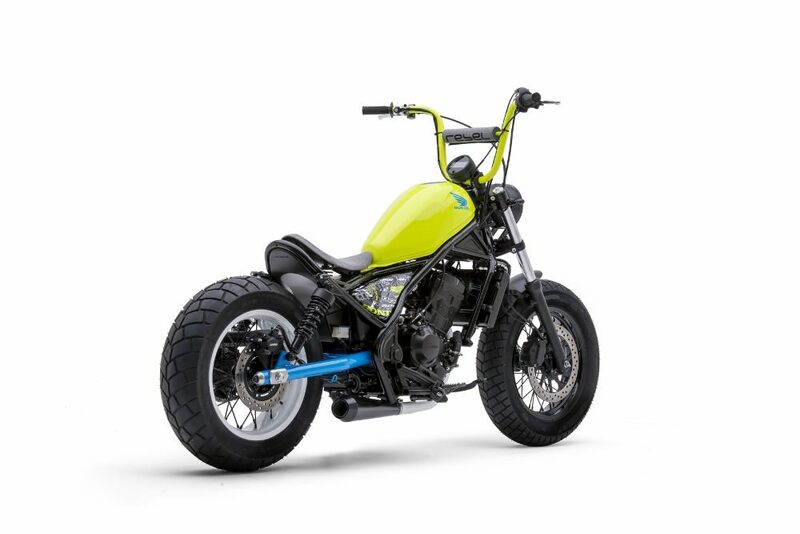 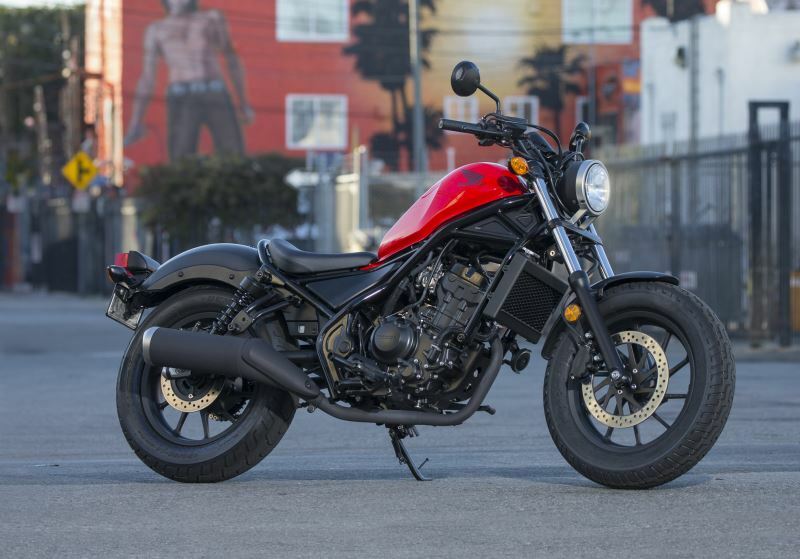 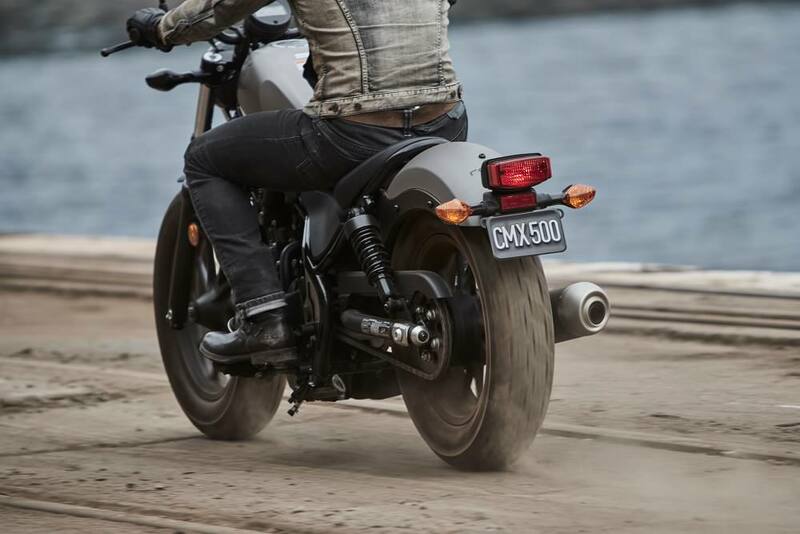 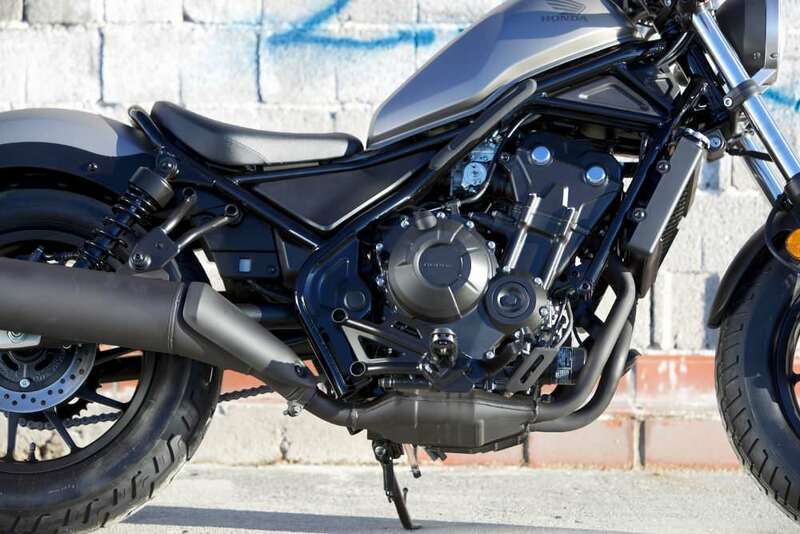 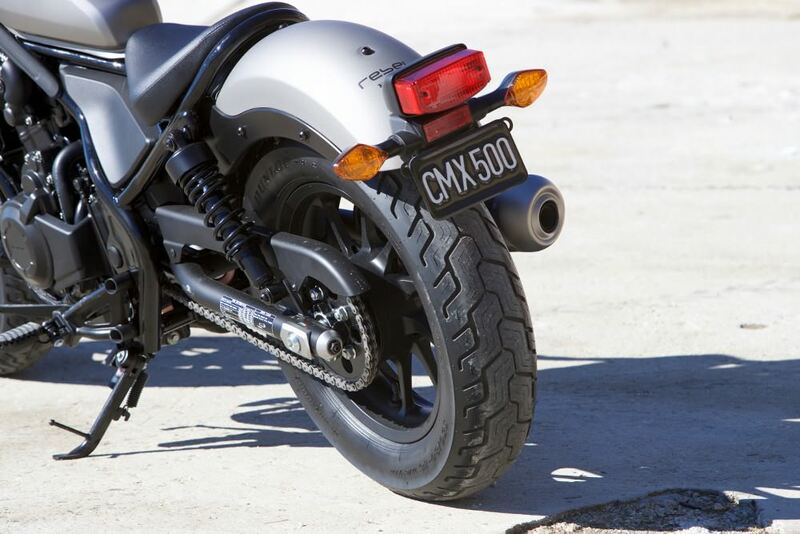 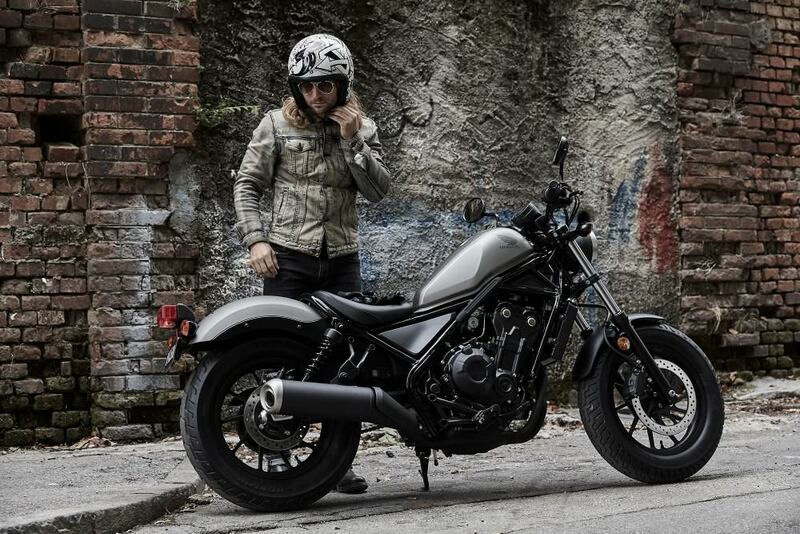 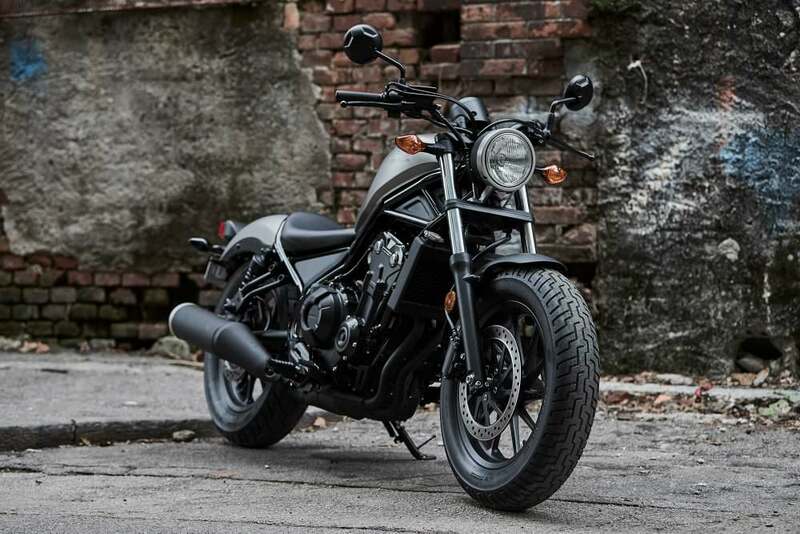 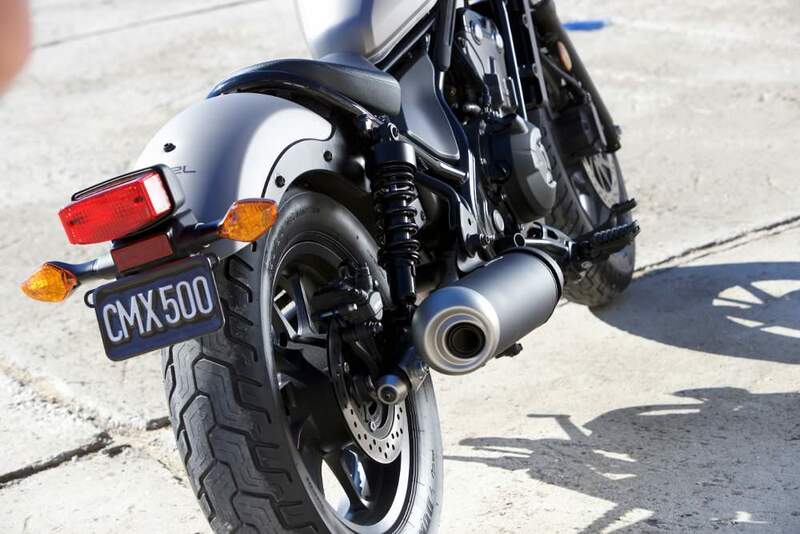 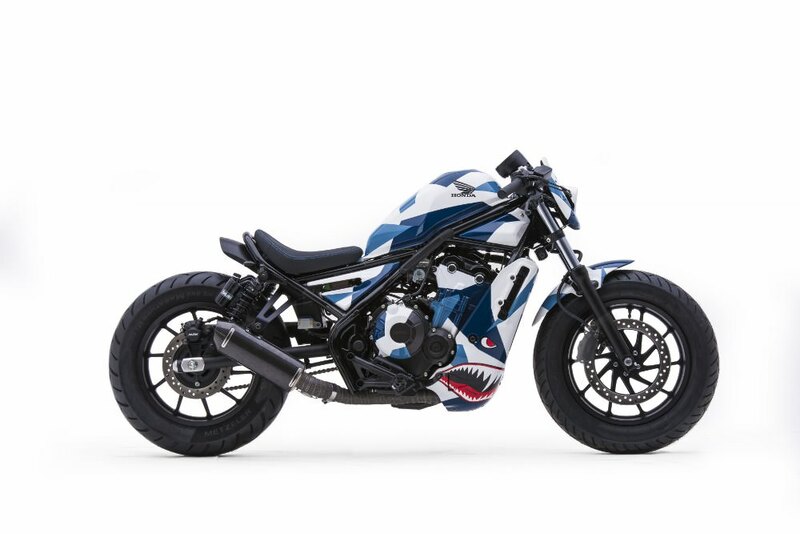 If you want more details on the larger variant, the Rebel 500, check it out by clicking here. 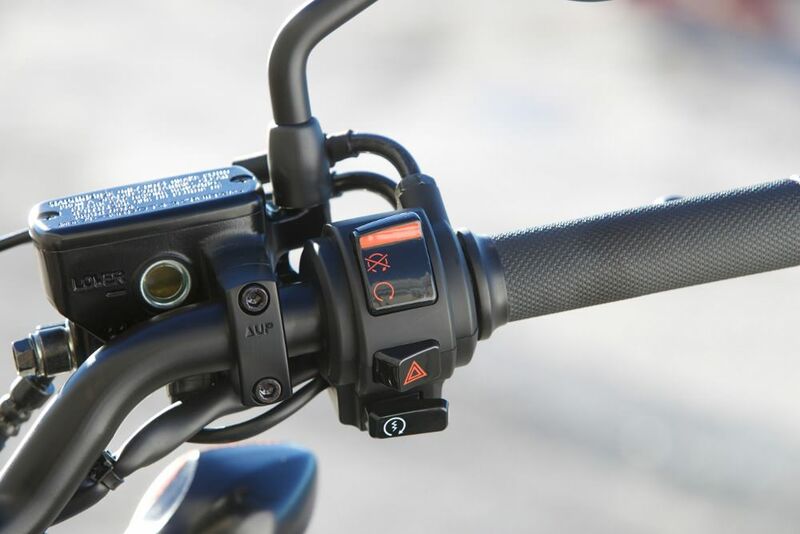 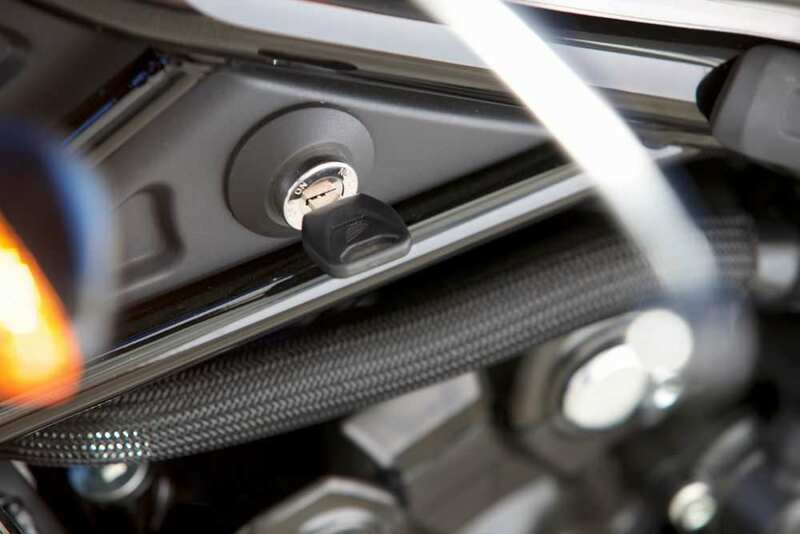 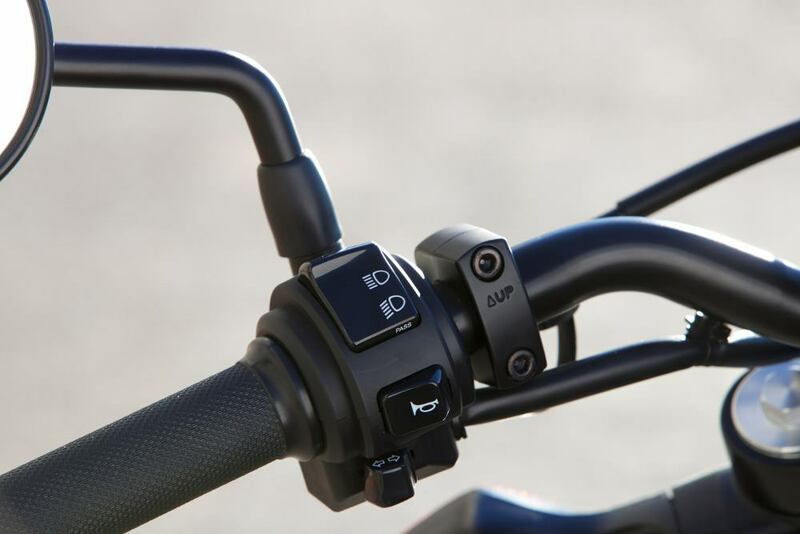 For cruising duties, revised PGM-FI fuel injection mapping has re-focused its character towards a more torque-heavy bottom-end output, while retaining a sporty feel to its smooth and linear power delivery, for a ride that is engaging as well as easy. 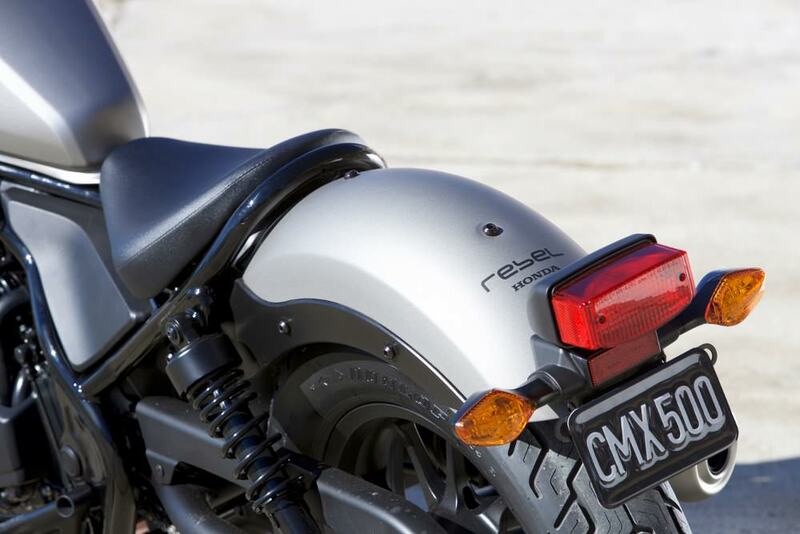 The Rebel’s tubular steel frame is brand new and draws fresh, contemporary lines into stripped-back, fat-tired ‘bobber’ style. 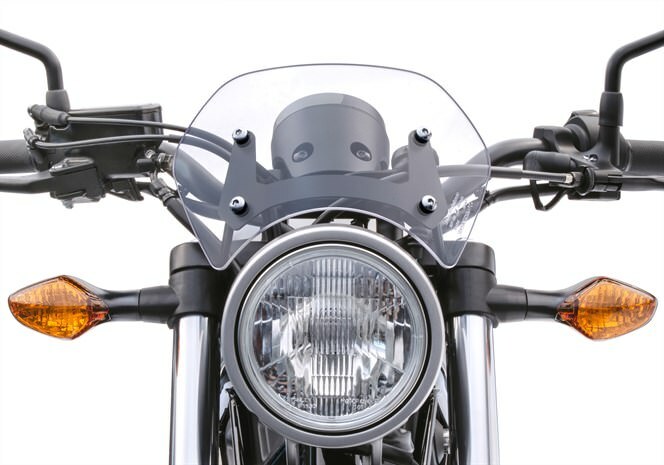 The evocative round headlight sits up high in a die-cast aluminum mount, the speedometer is a compact dial with negative LCD display and blue backlight. 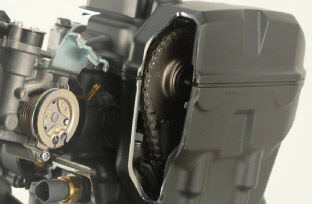 The ignition is housed below the left side of the fuel tank and everything that can be is blacked out. 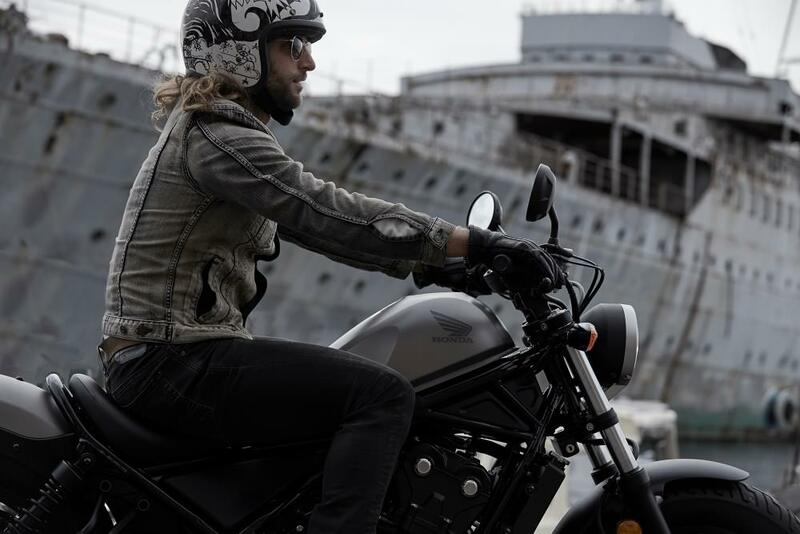 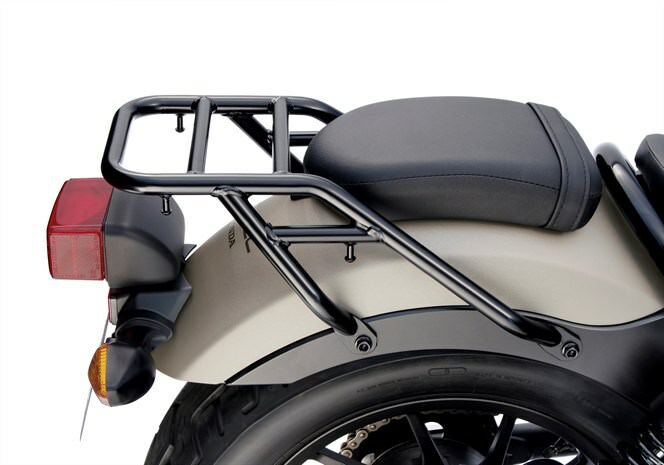 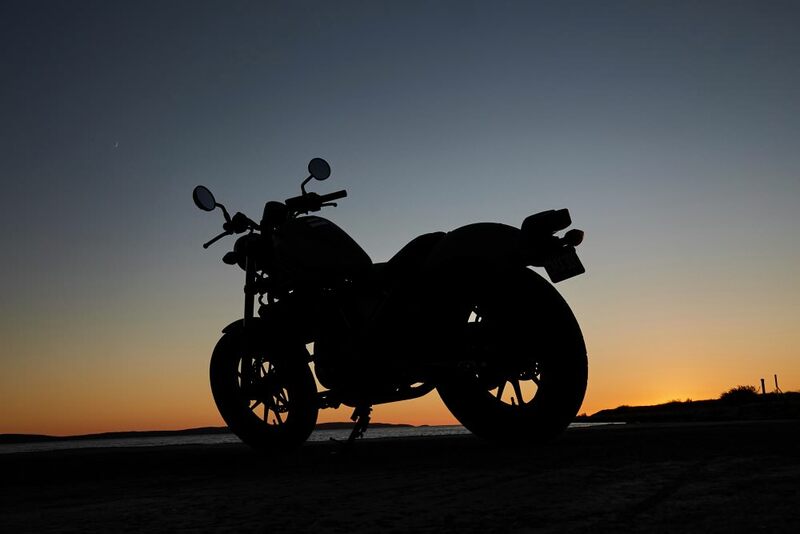 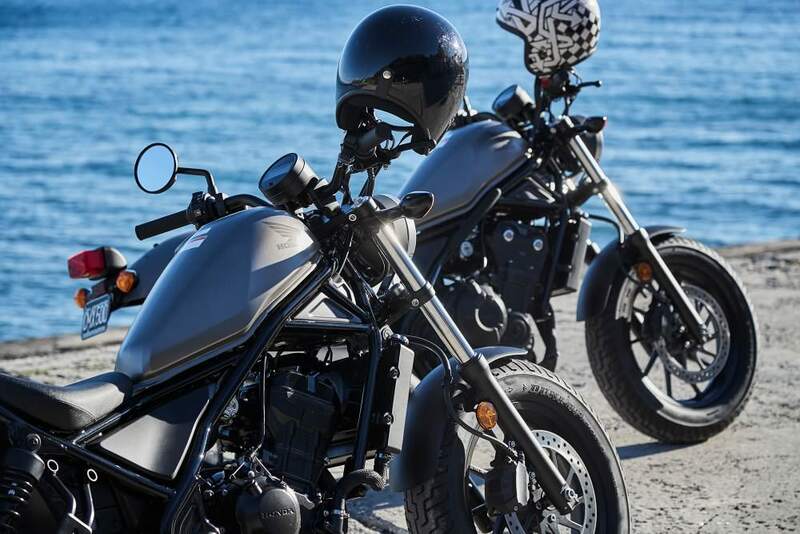 Speaking of blacked out, the 2017 Rebel is blacked out to the maximum, with the minimum of paint, it also switches from solo-only to passenger-possible via two bolts so you can easily carry a passenger on your Rebel 300. 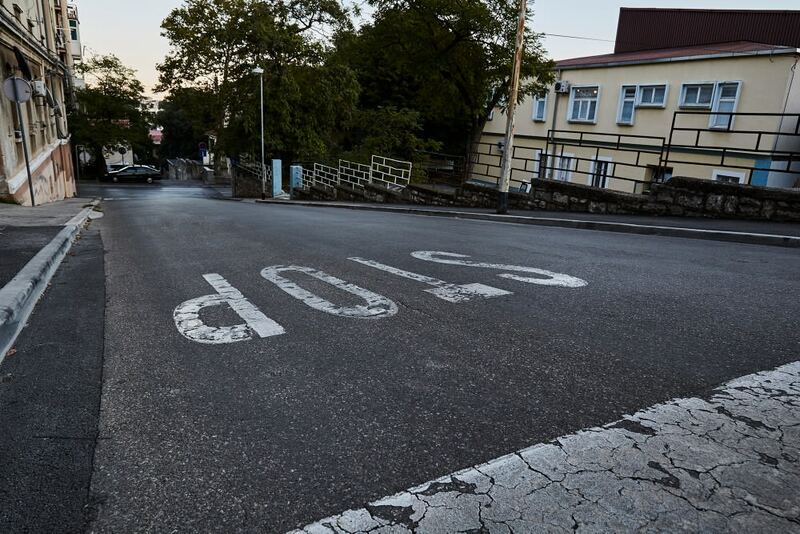 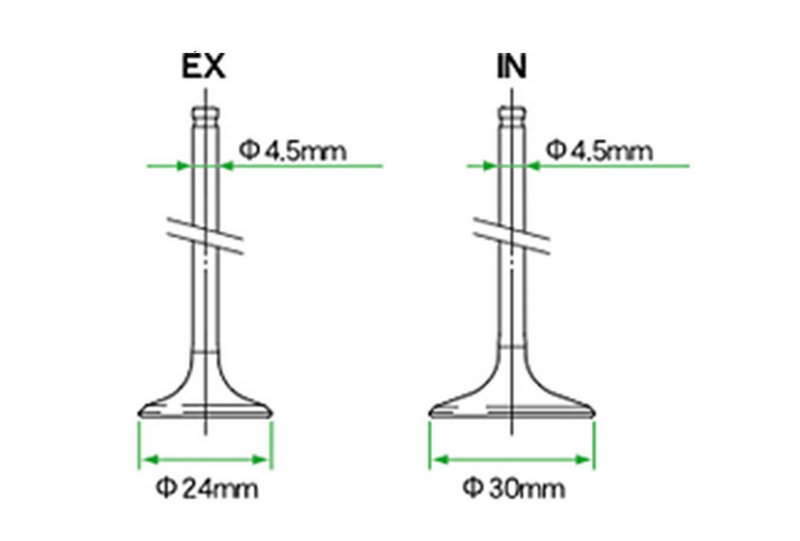 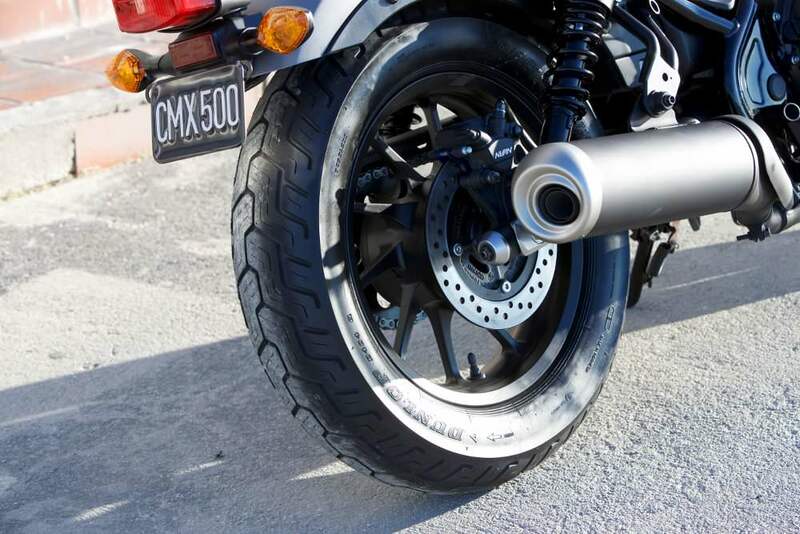 Dunlop tires are fitted as standard sized 130/90-16 front and 150/80-16 rear. 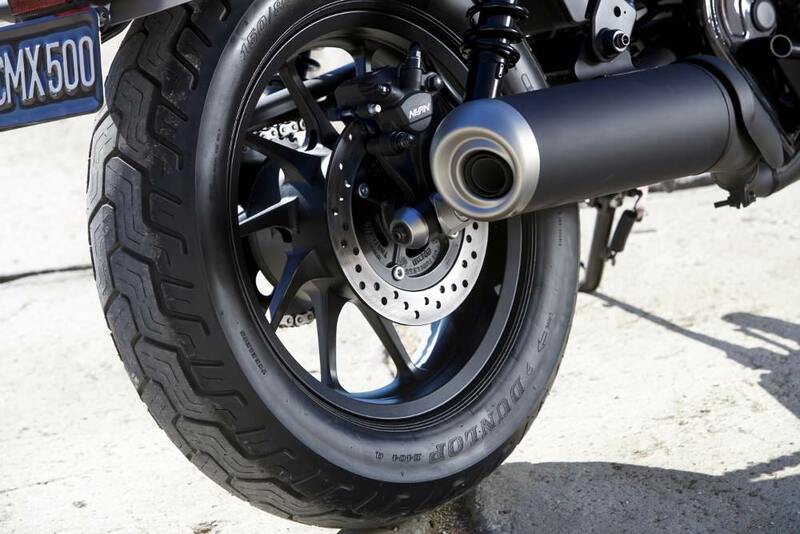 The style of the 16-inch cast aluminum wheels is crisp and simple, with the 264mm front disc acting as mirror to the spoke pattern. 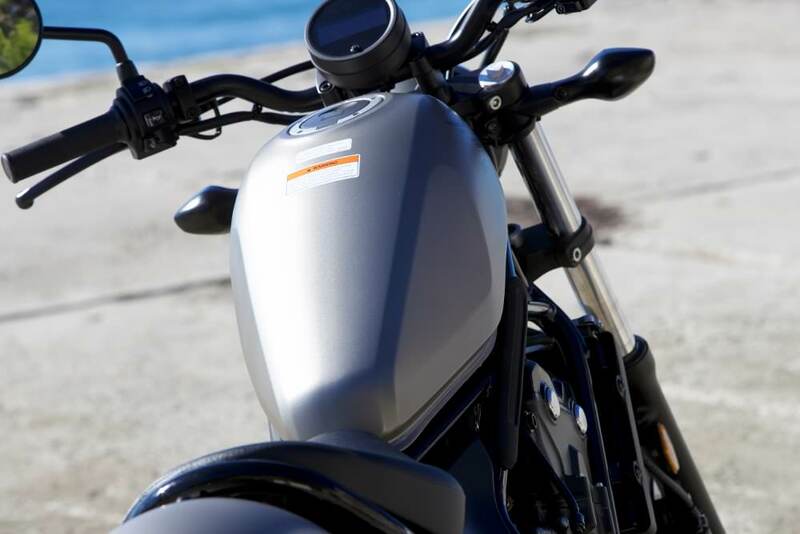 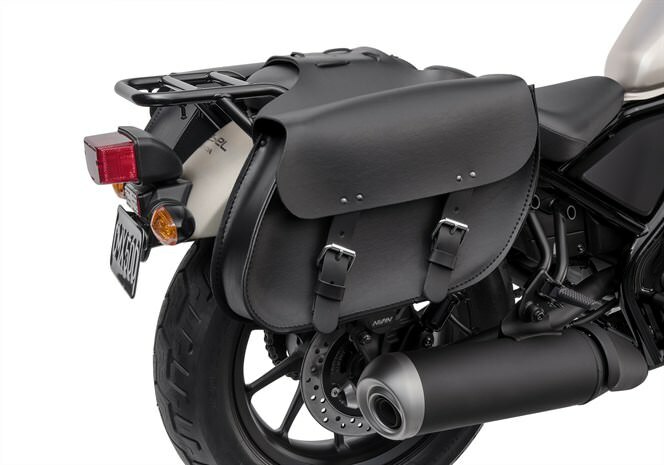 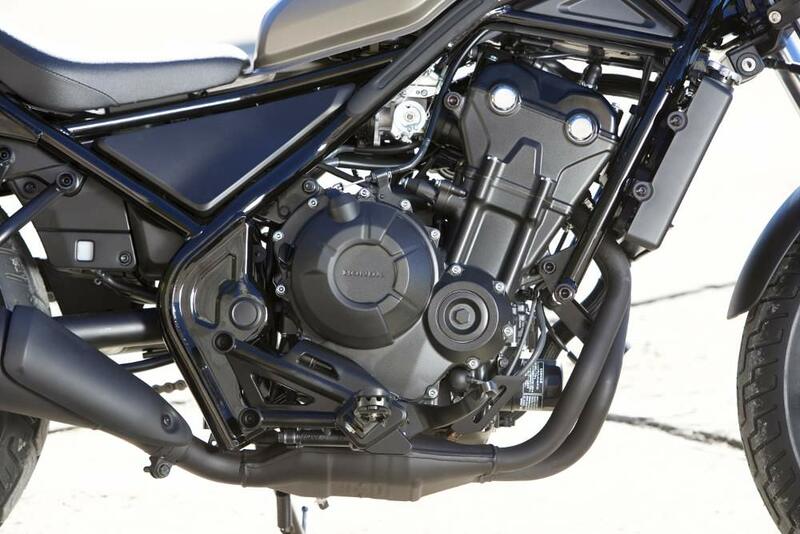 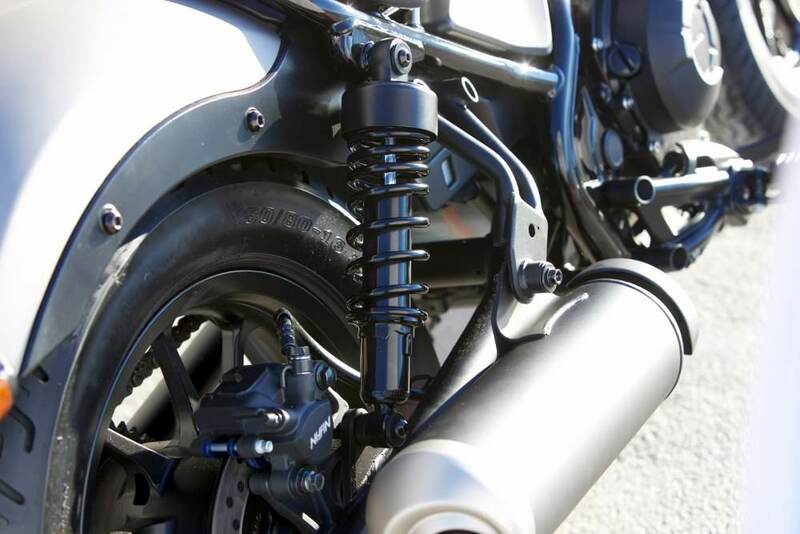 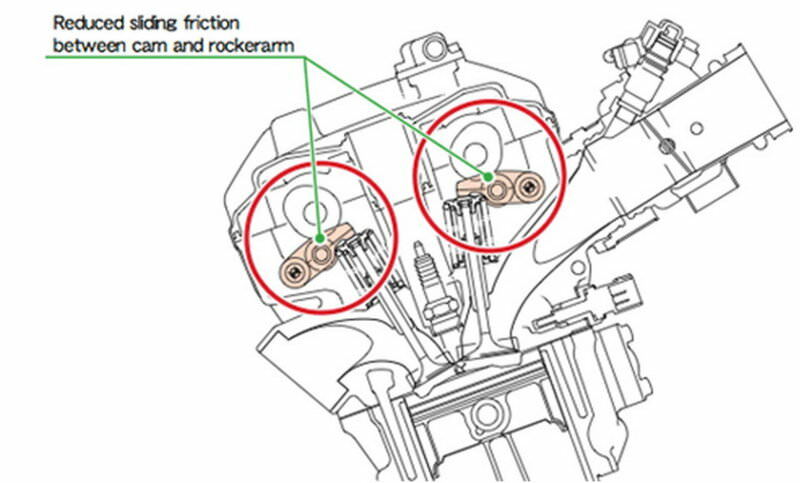 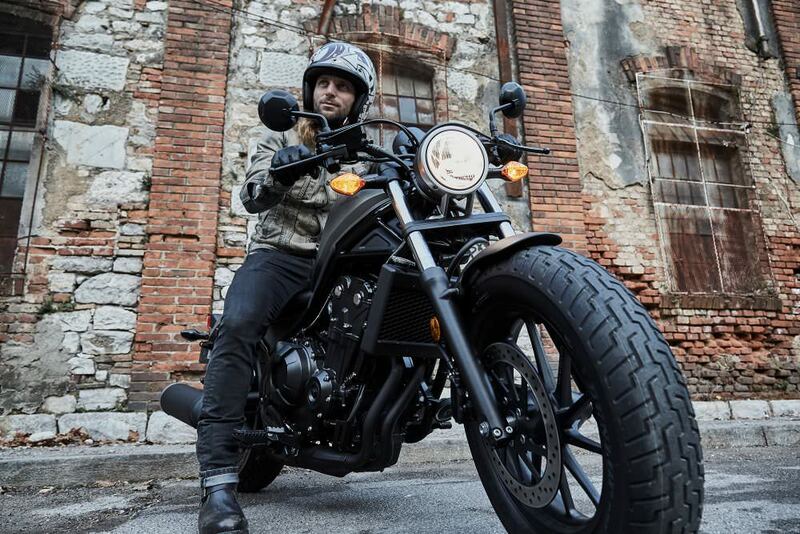 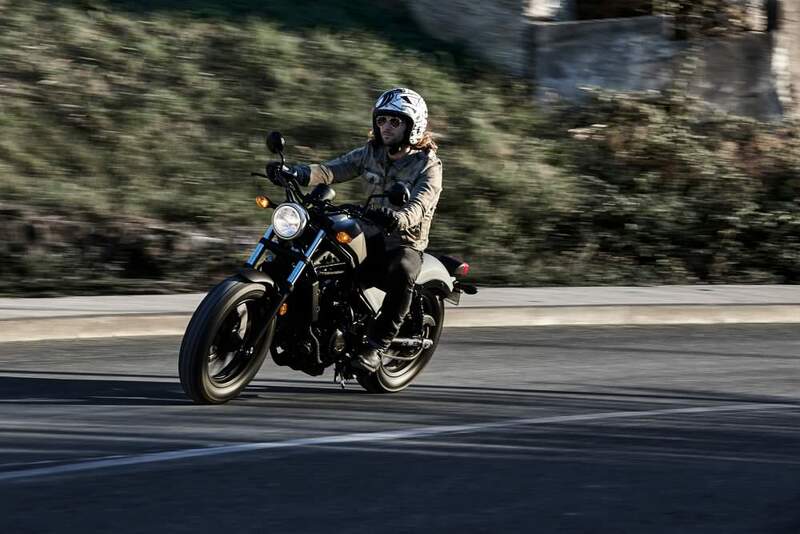 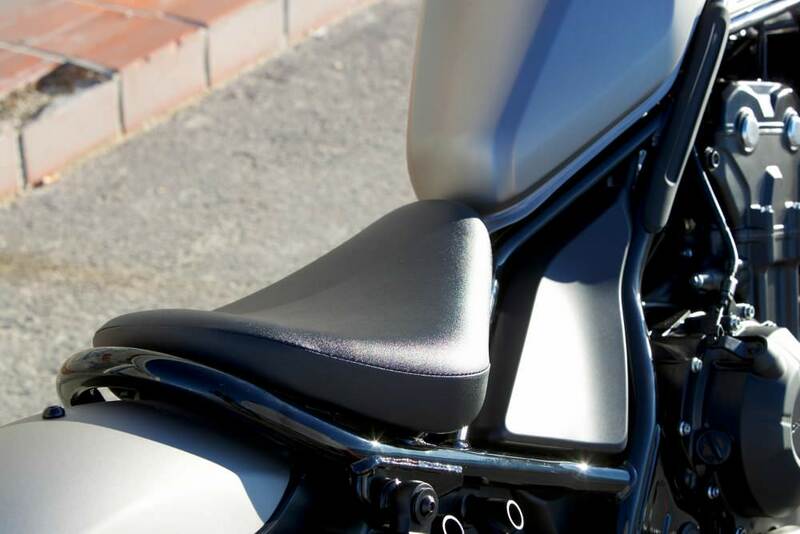 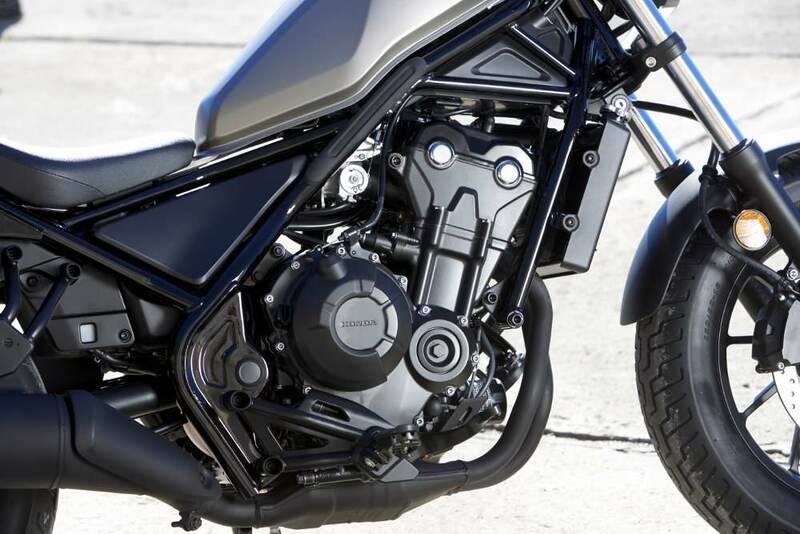 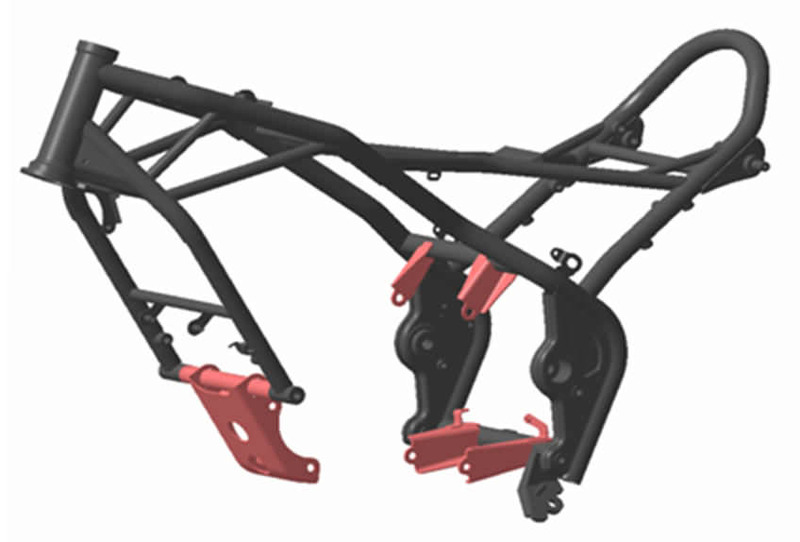 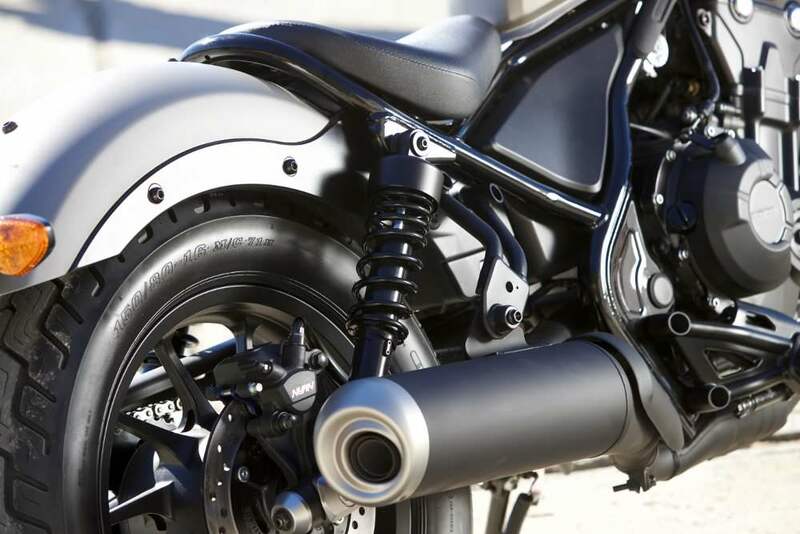 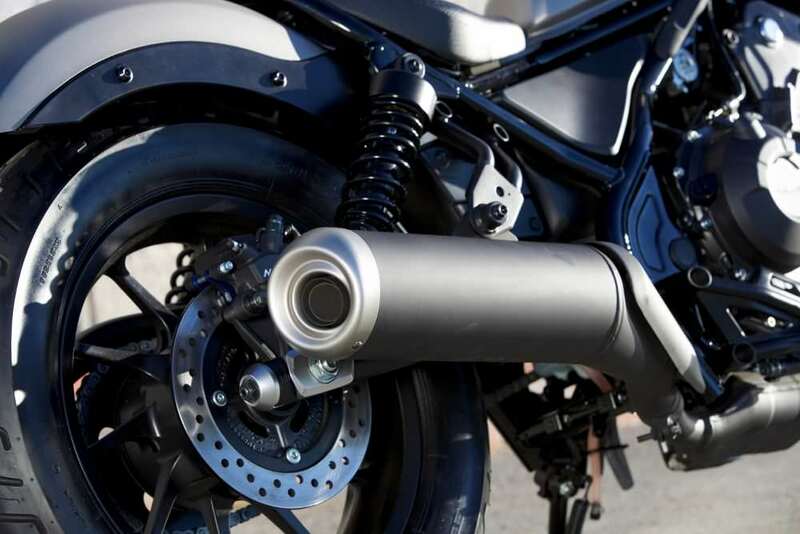 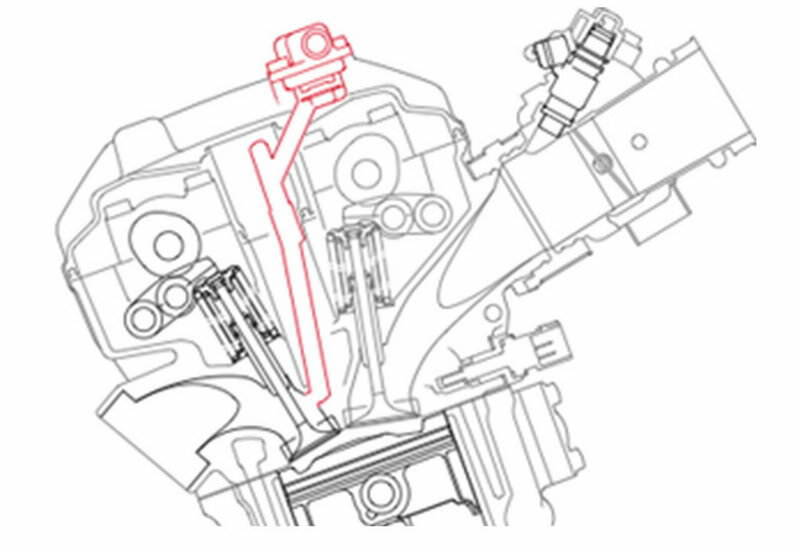 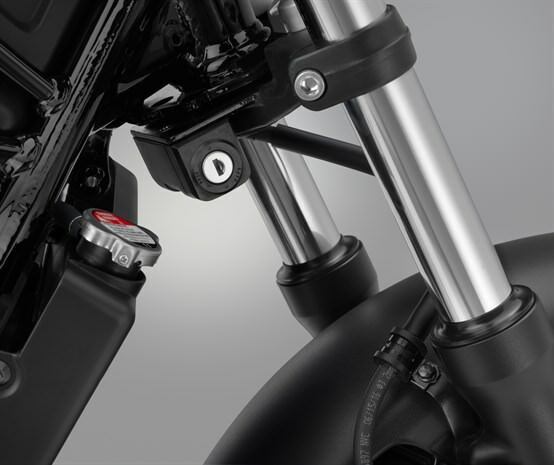 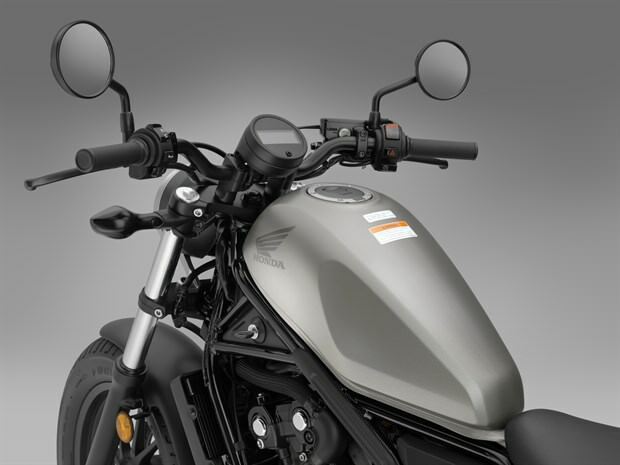 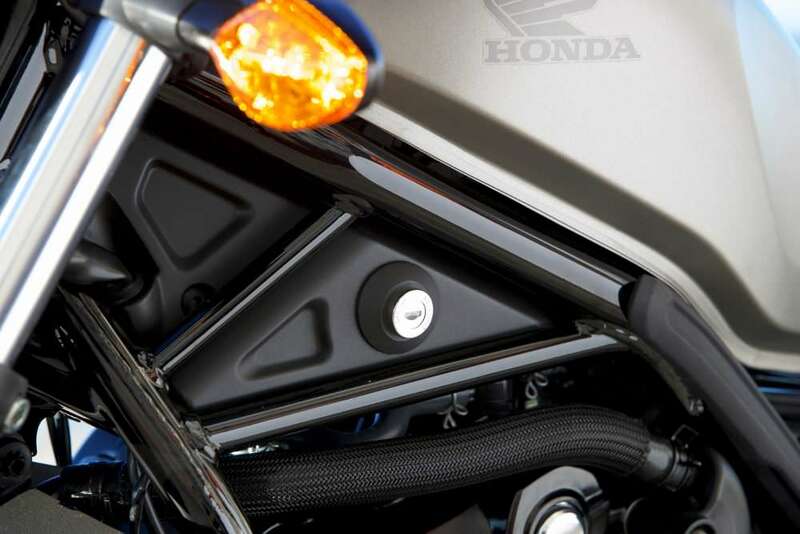 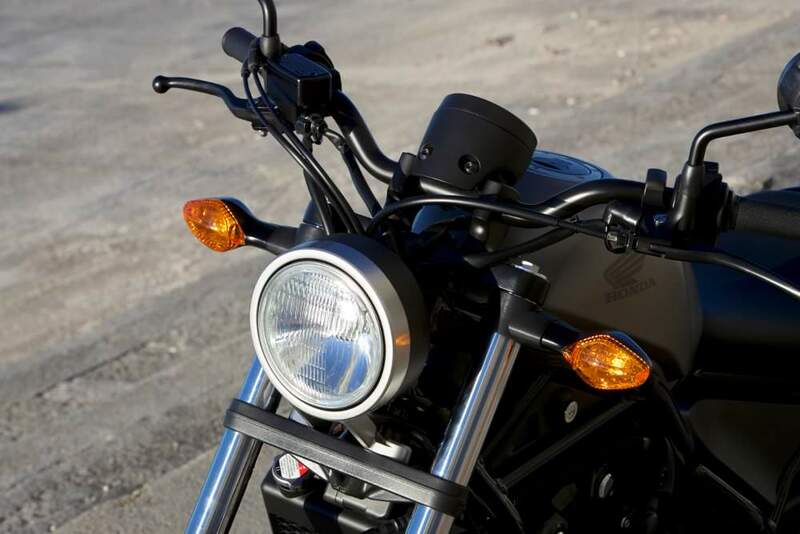 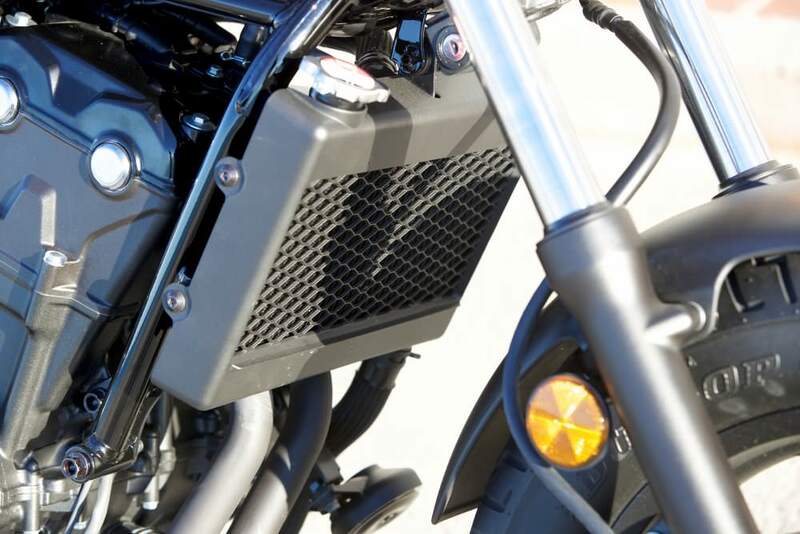 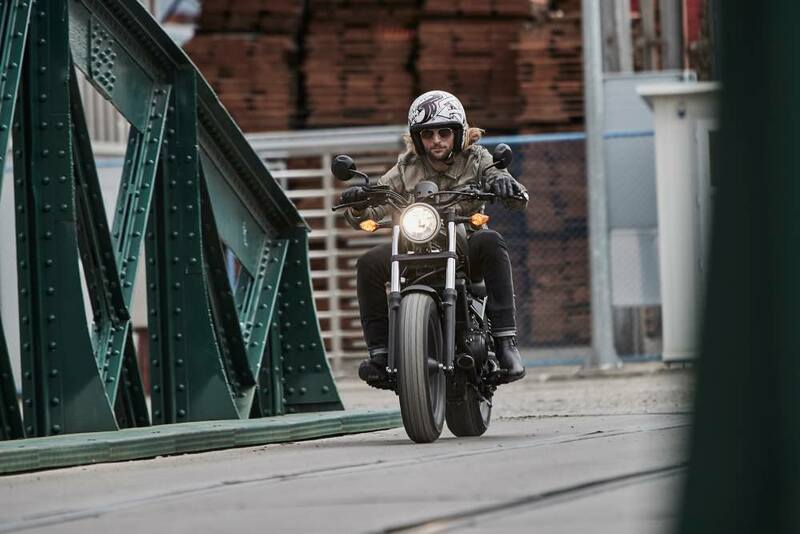 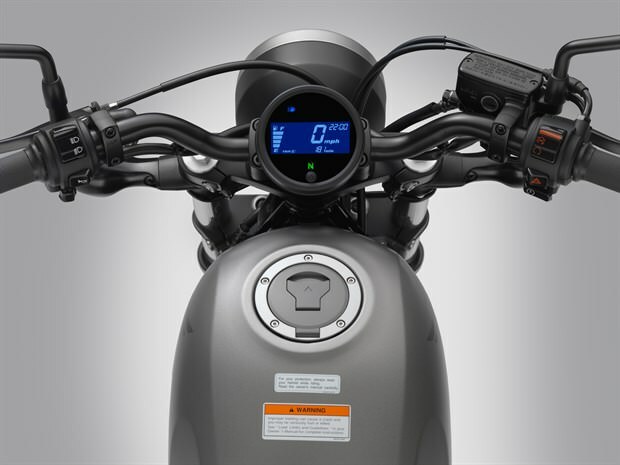 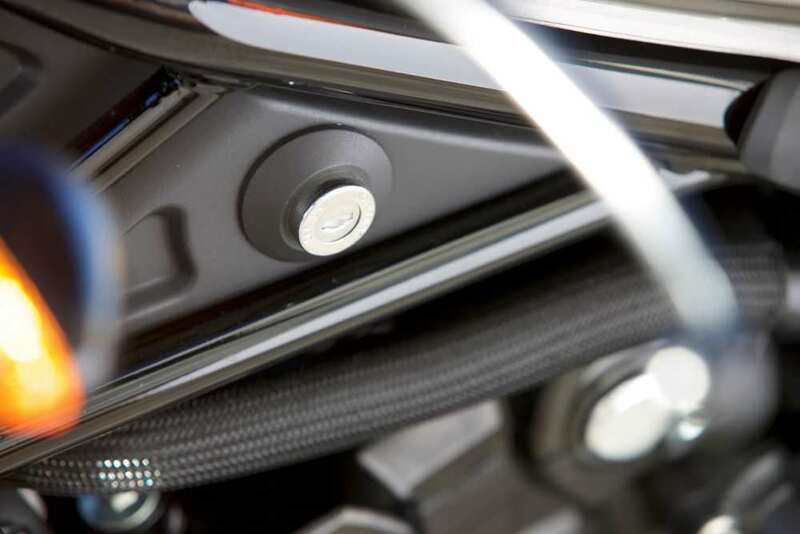 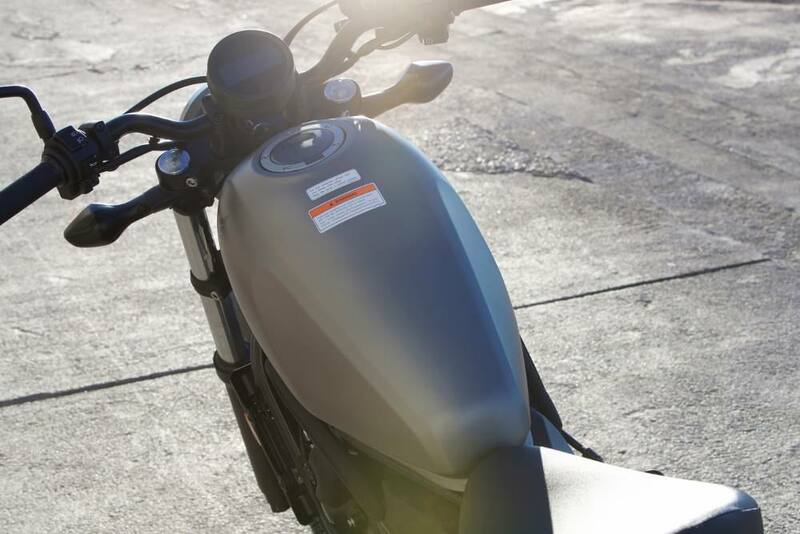 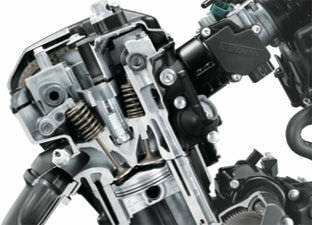 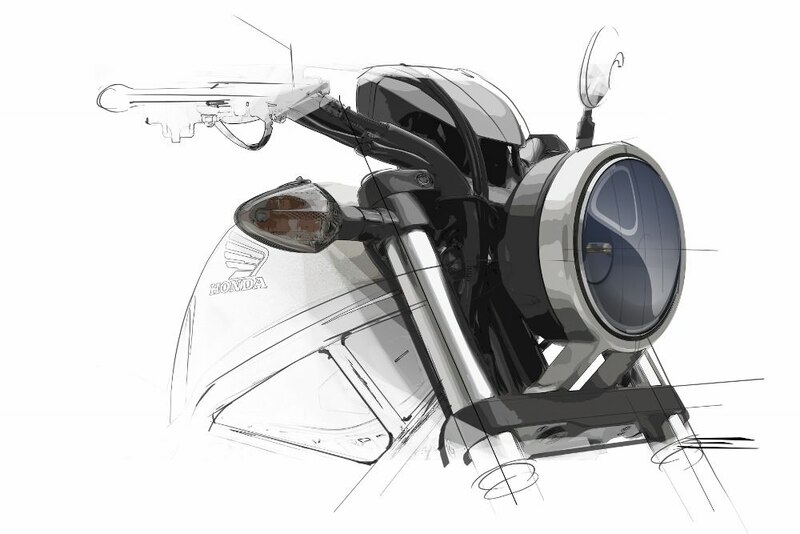 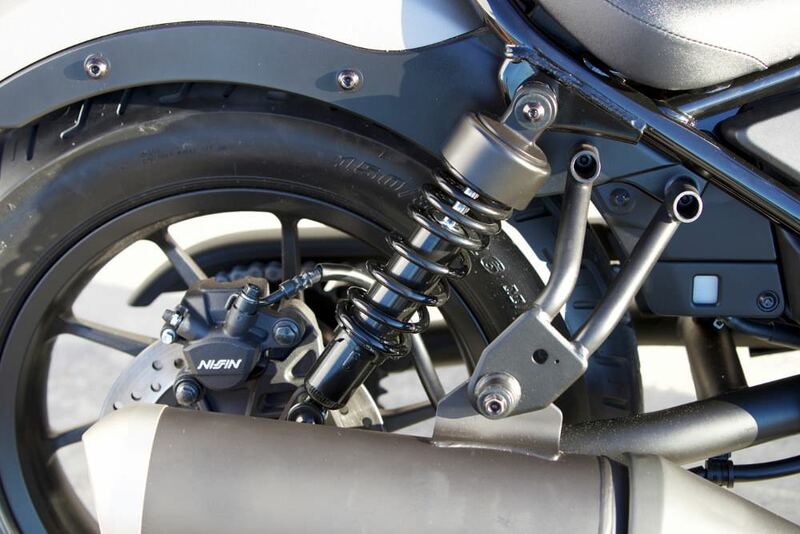 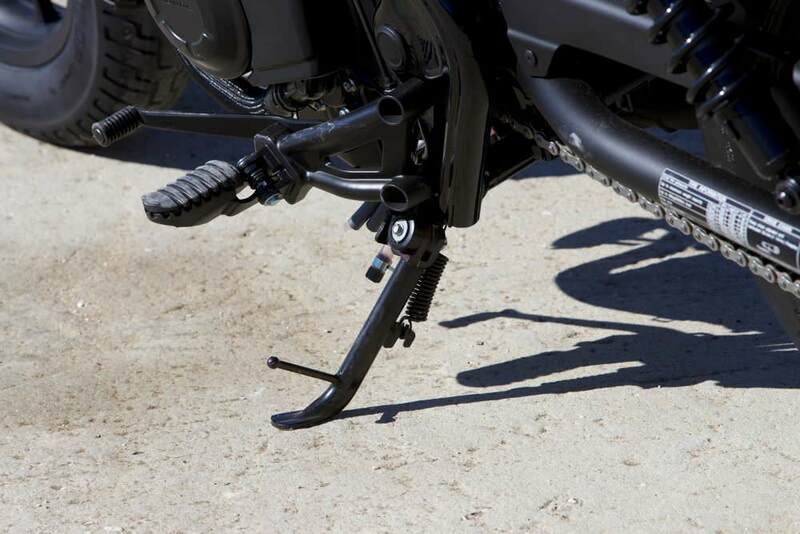 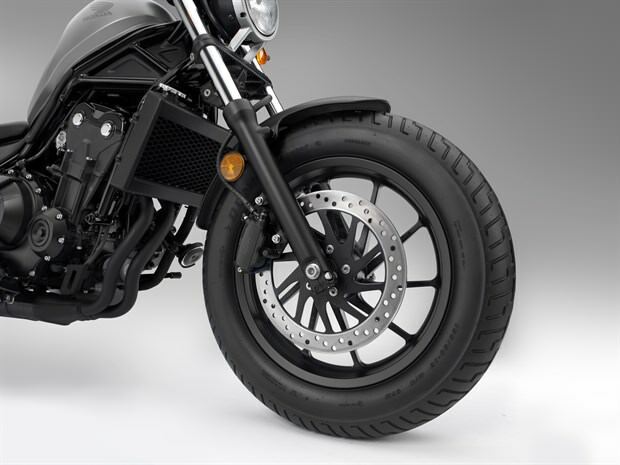 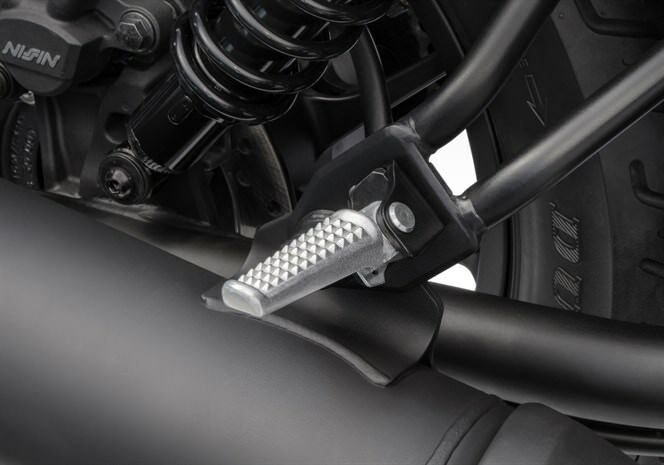 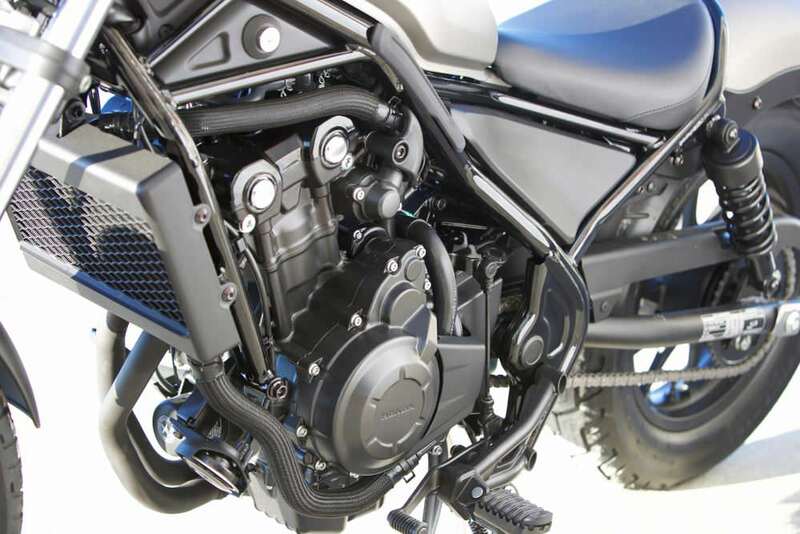 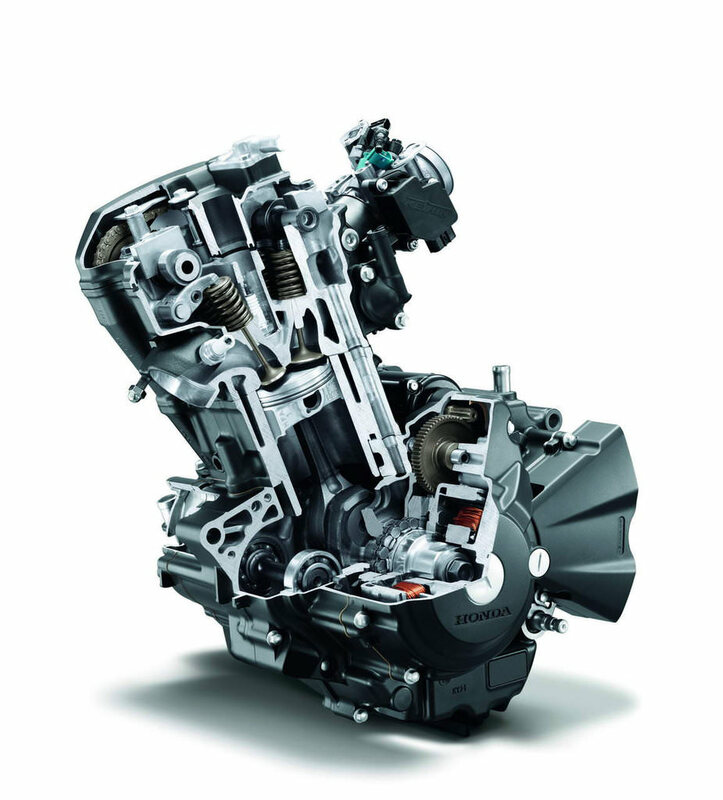 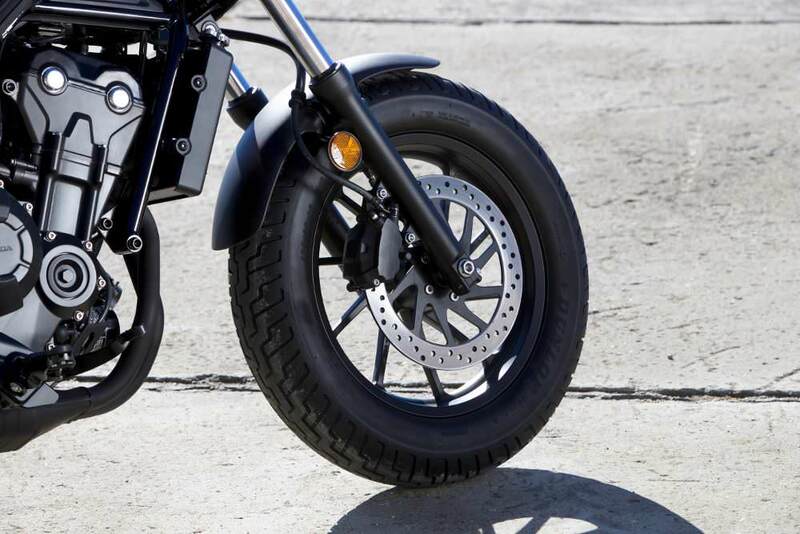 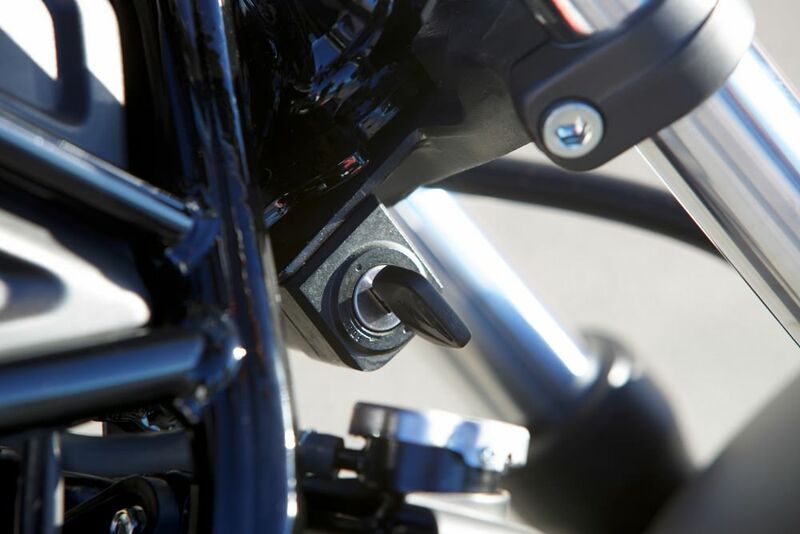 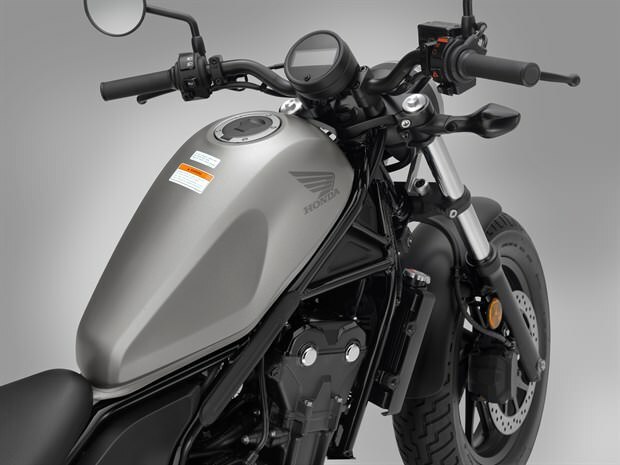 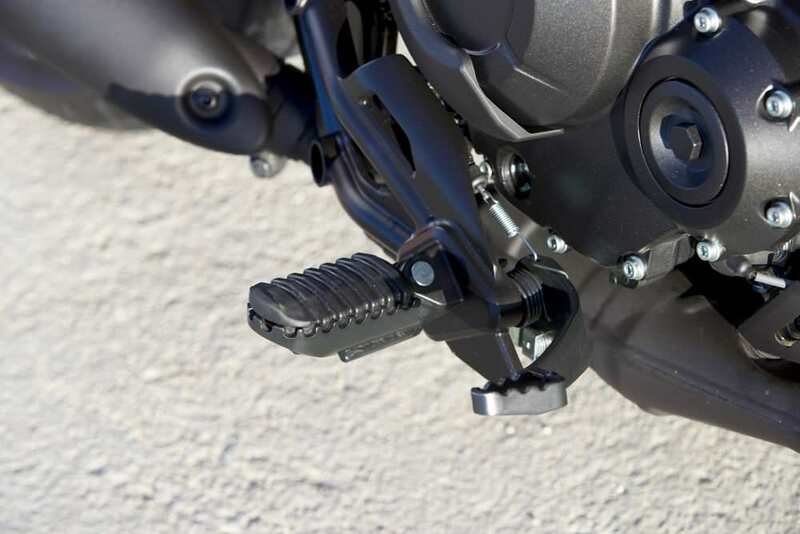 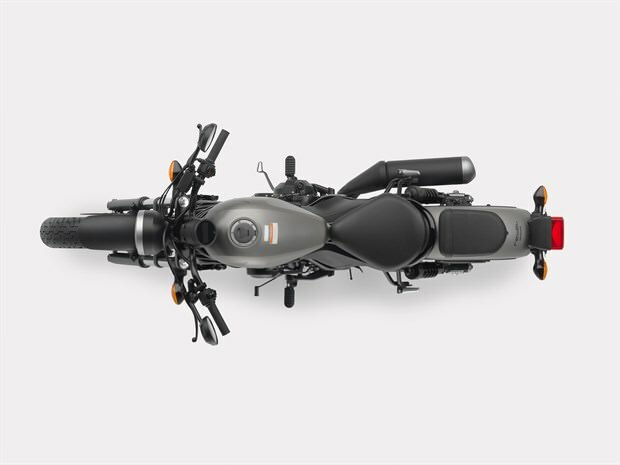 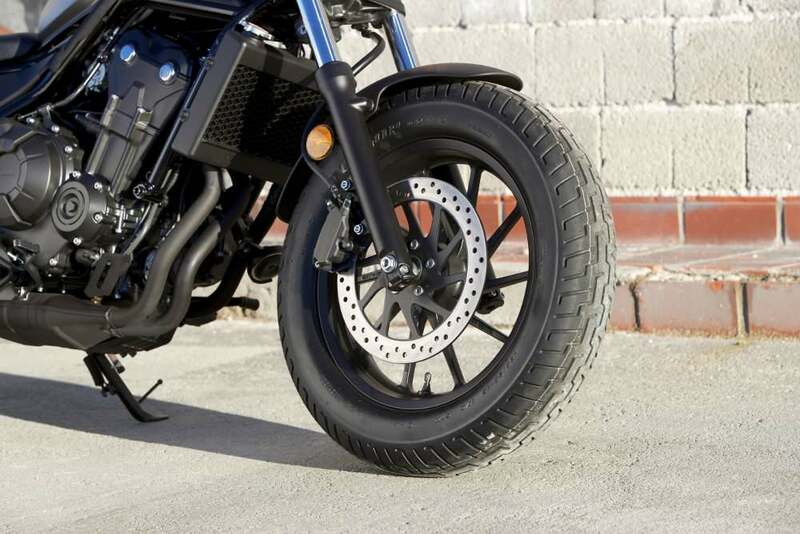 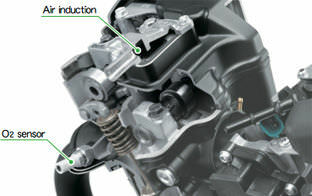 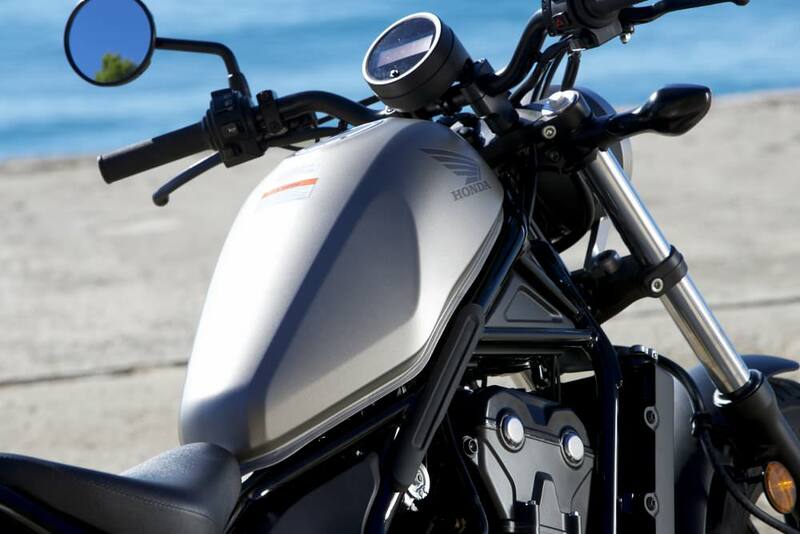 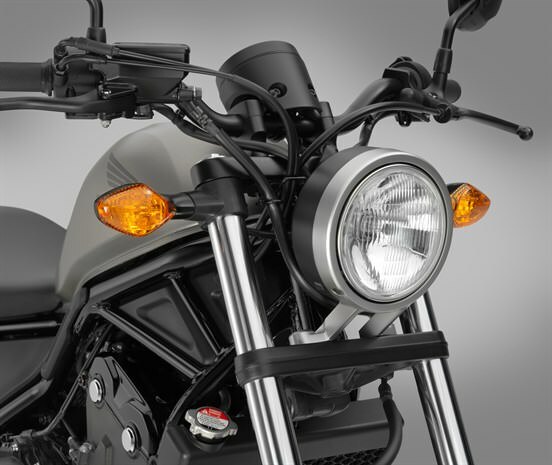 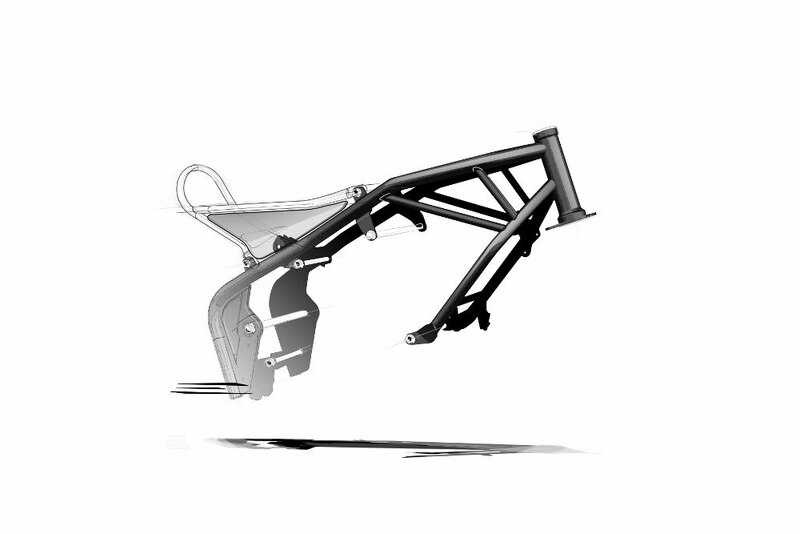 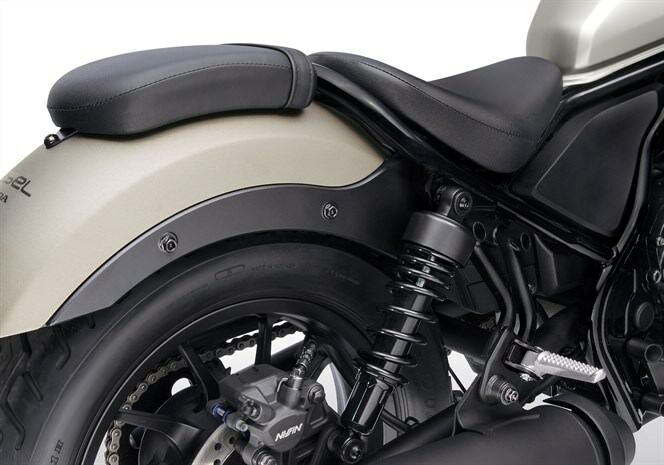 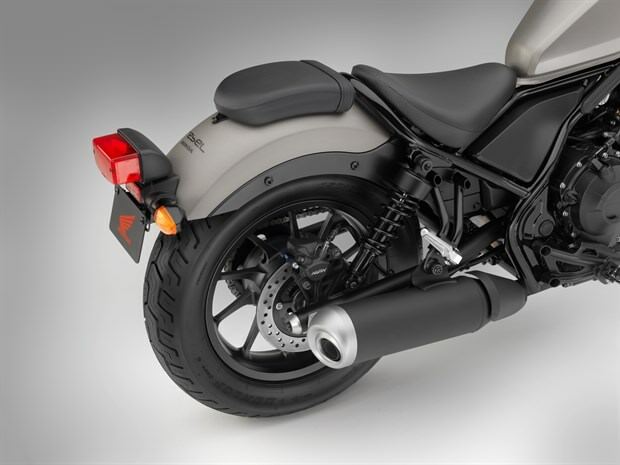 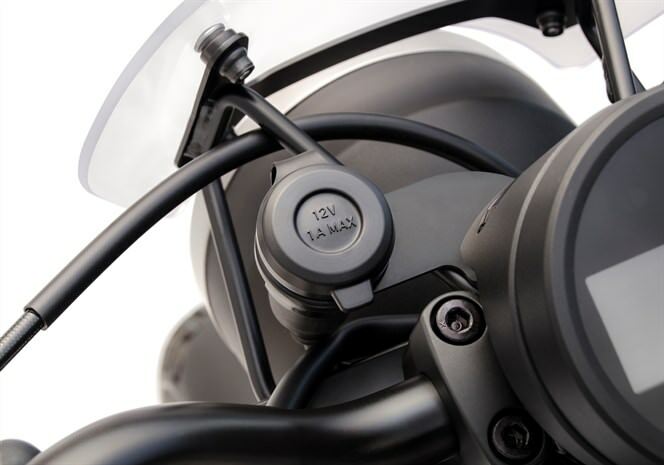 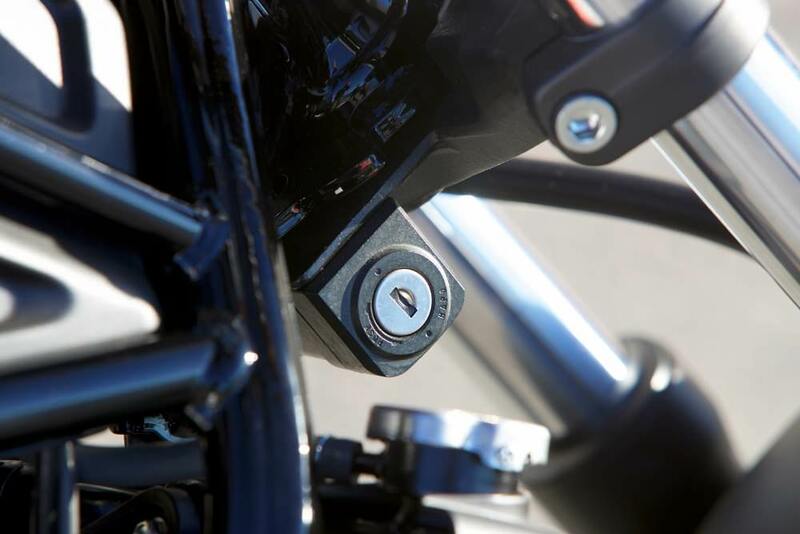 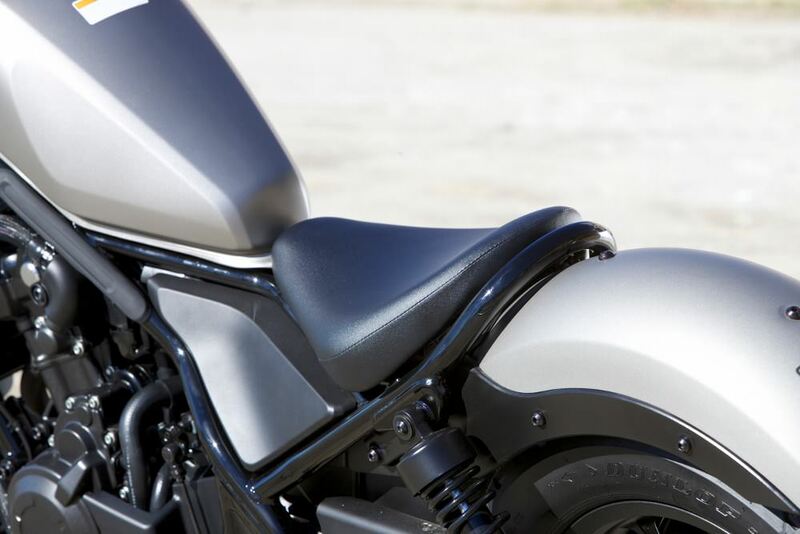 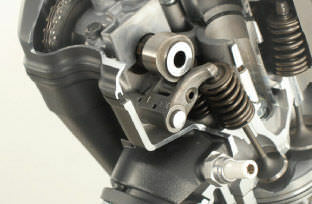 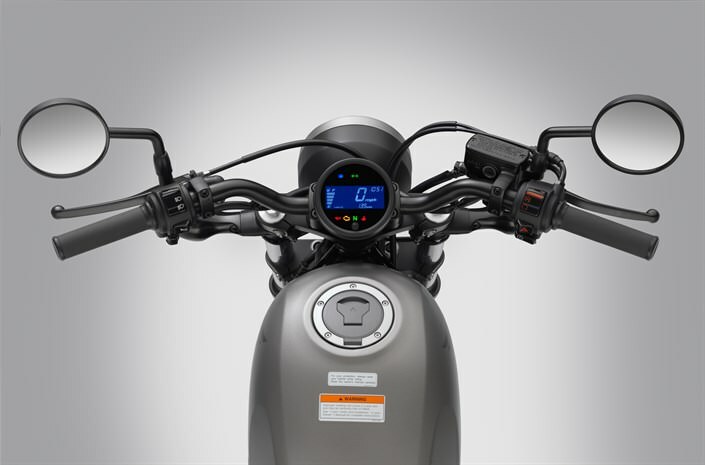 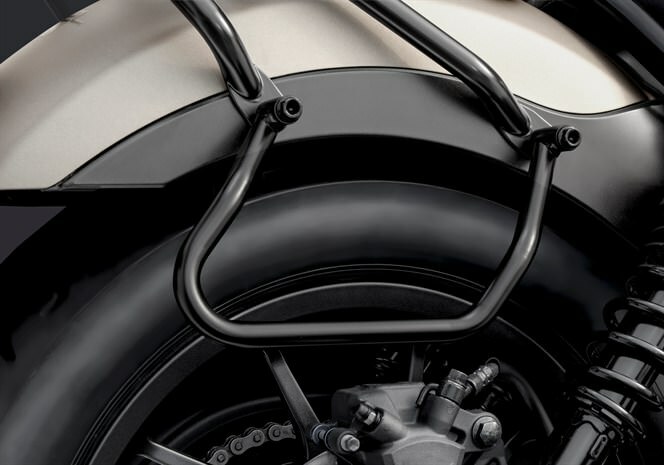 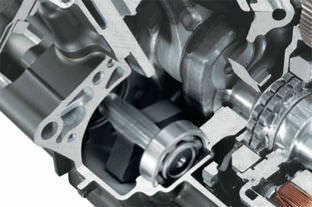 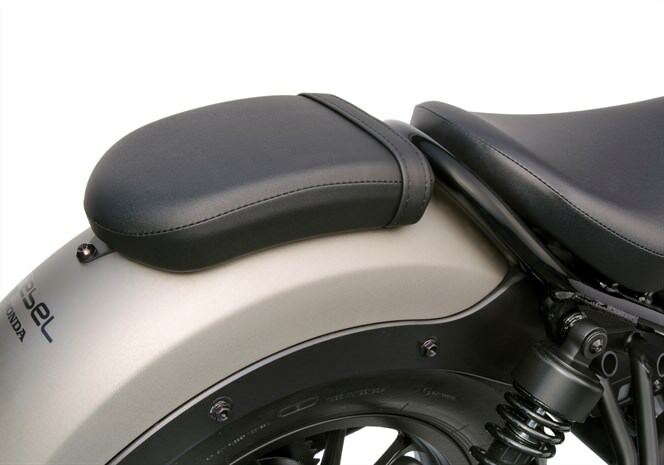 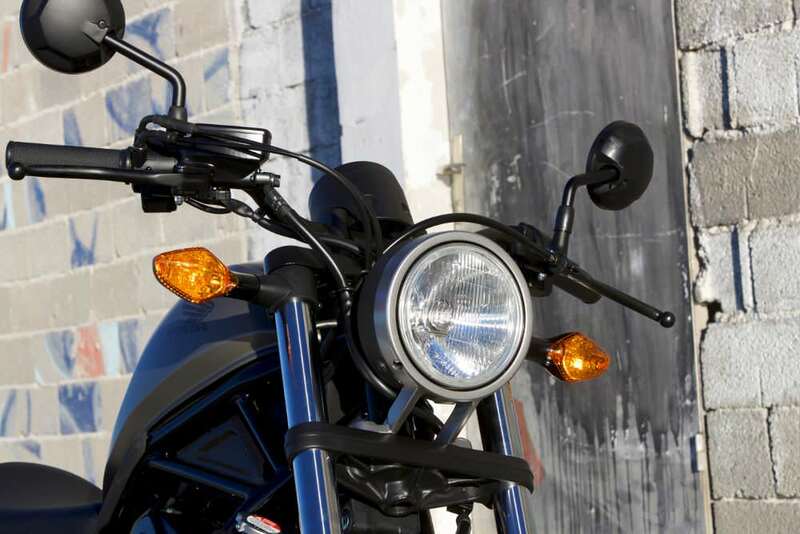 A twin-piston front caliper is matched by a single-piston rear; ABS is fitted as standard on Euro-spec Rebel 300’s but is available as an option here in the USA on the 2017 Rebel 300.